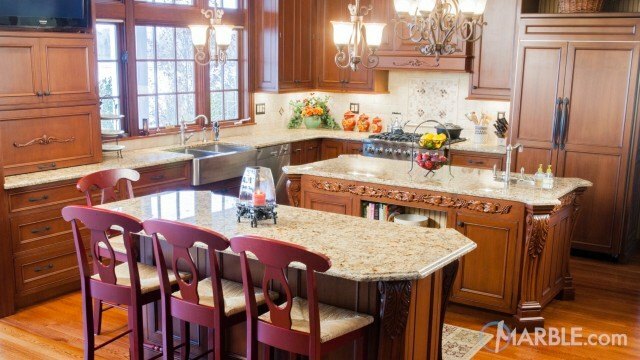 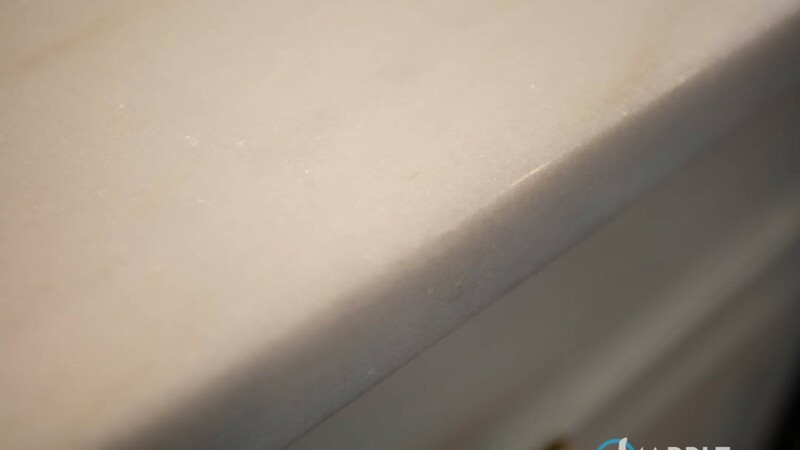 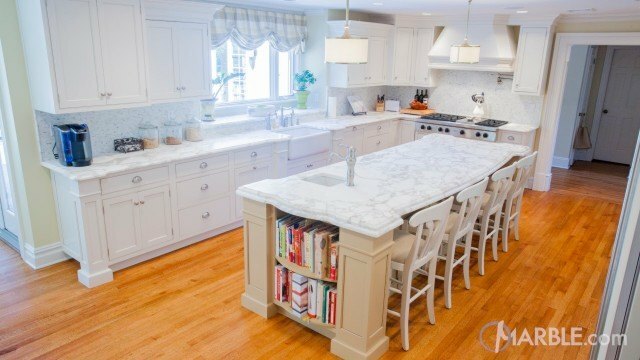 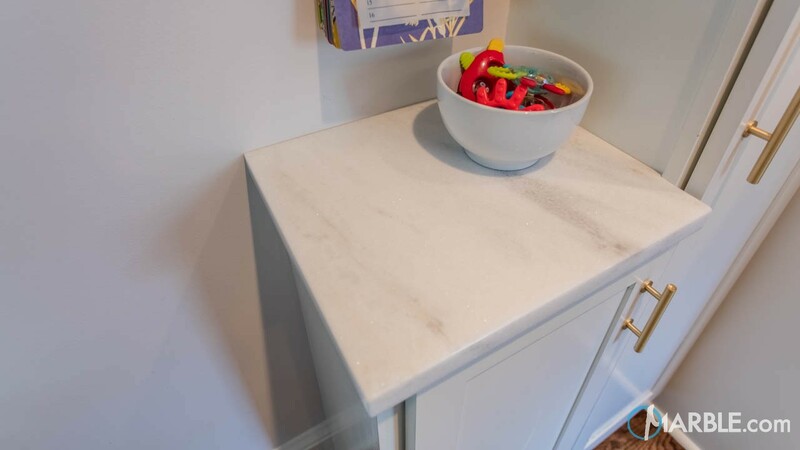 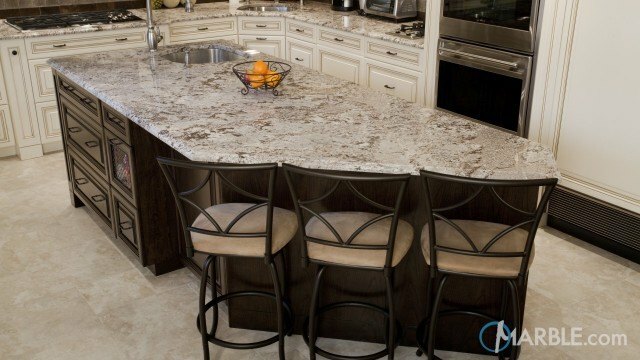 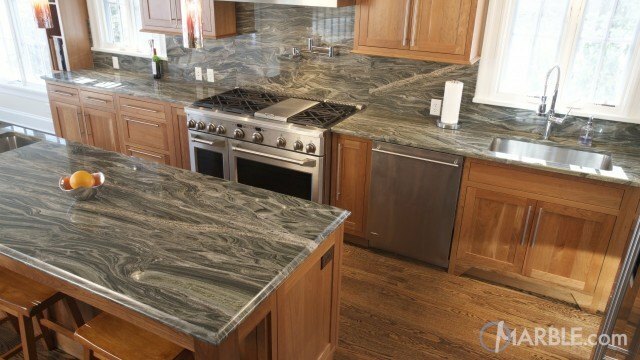 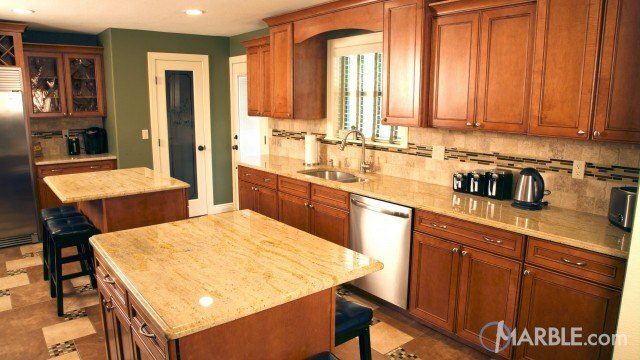 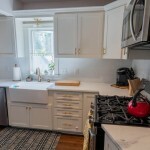 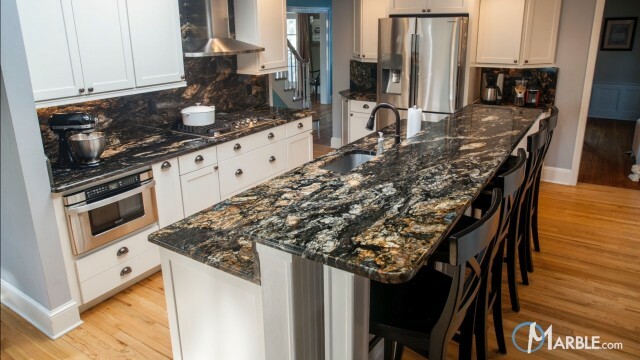 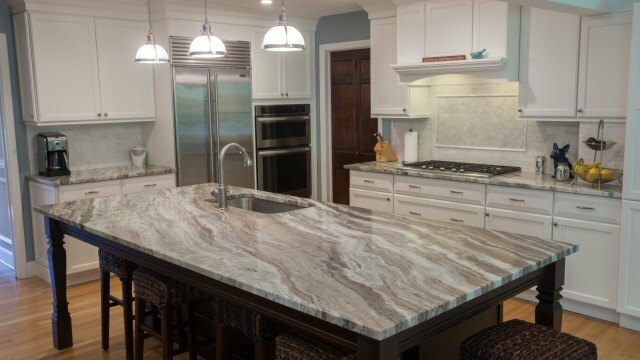 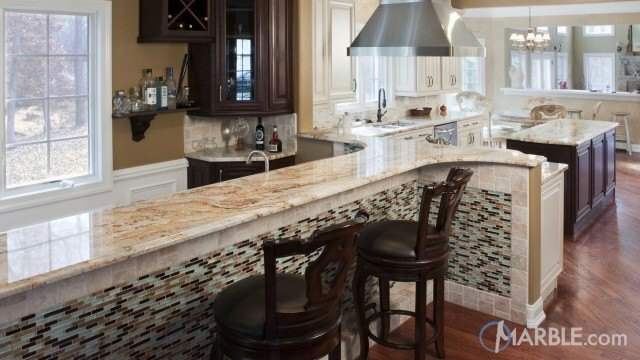 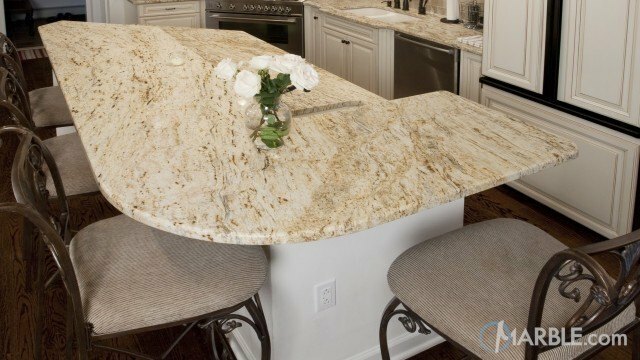 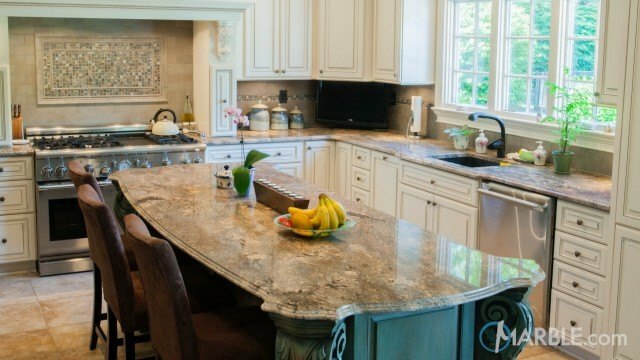 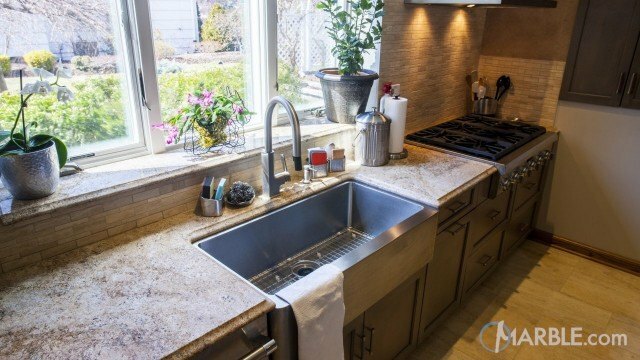 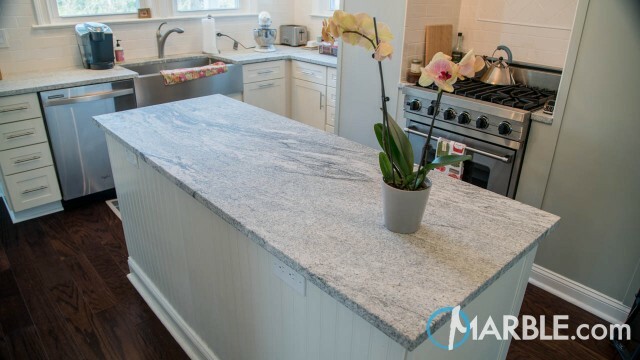 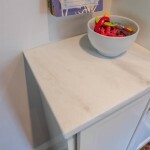 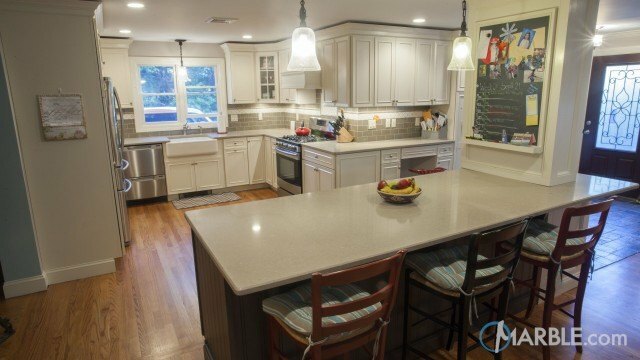 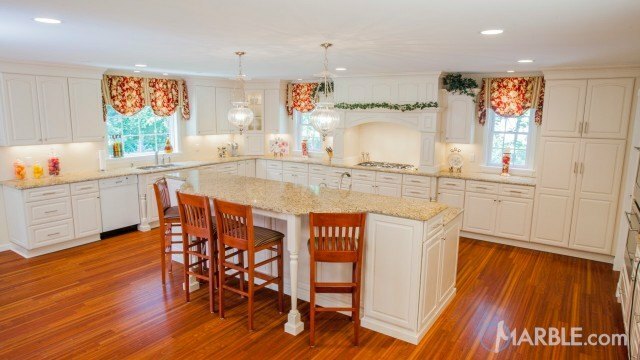 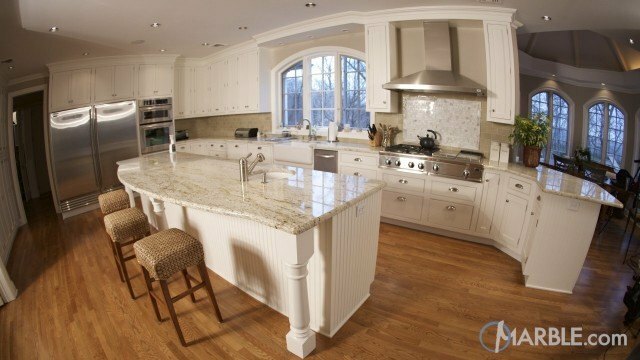 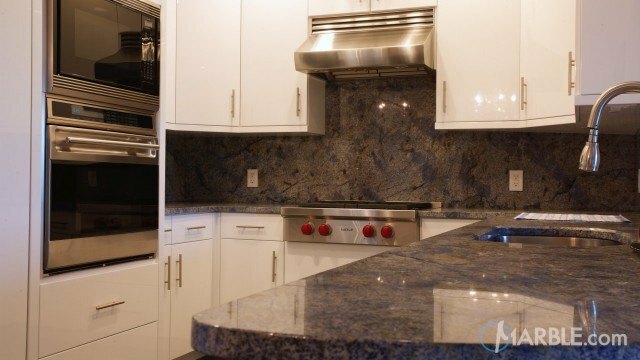 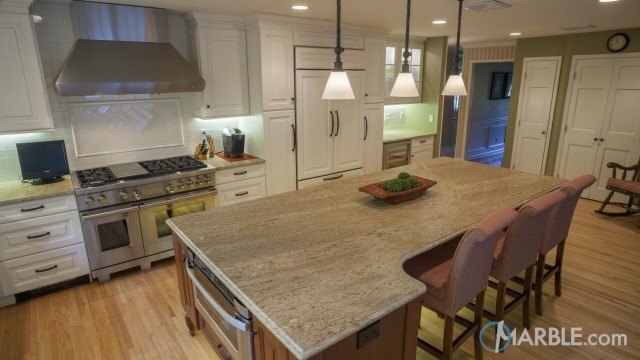 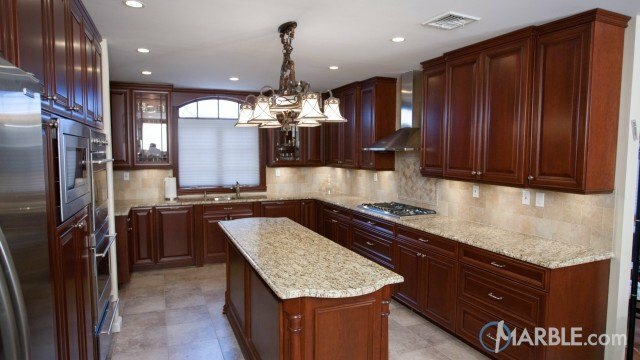 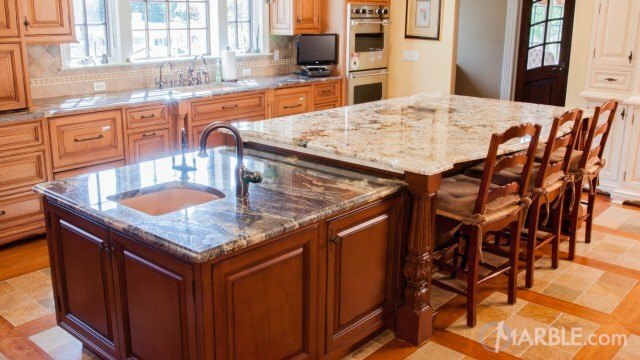 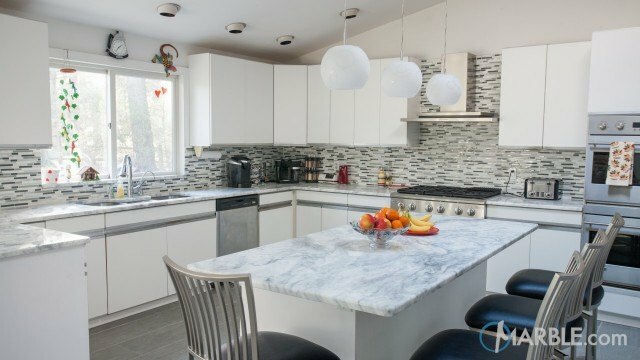 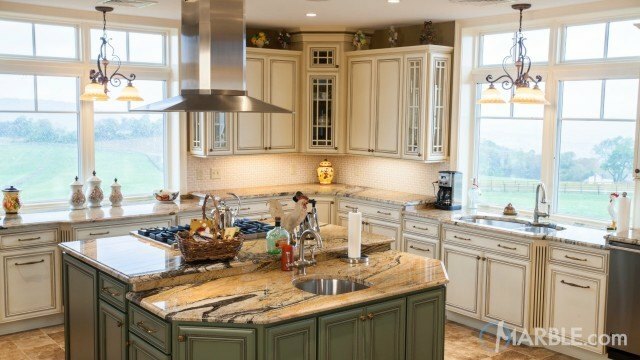 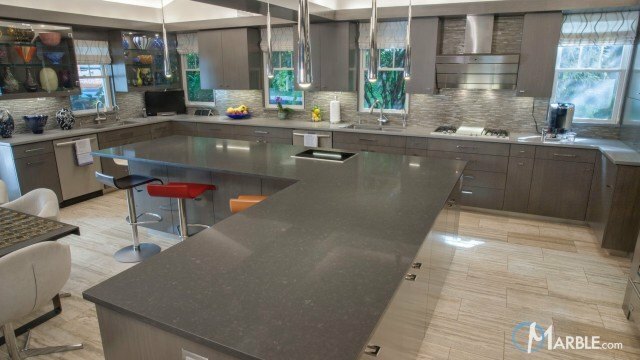 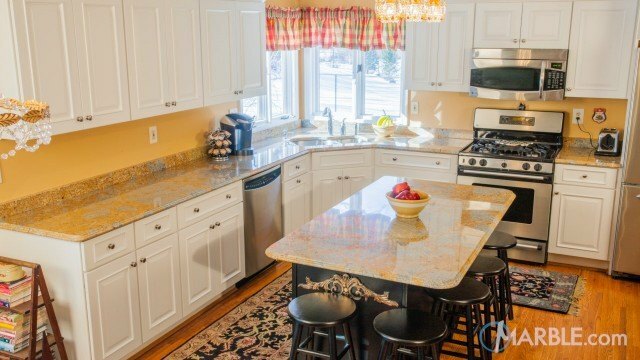 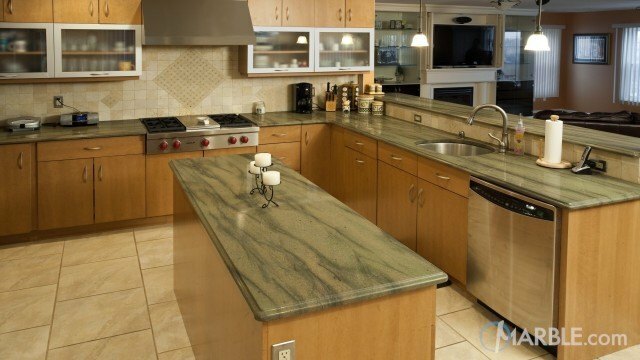 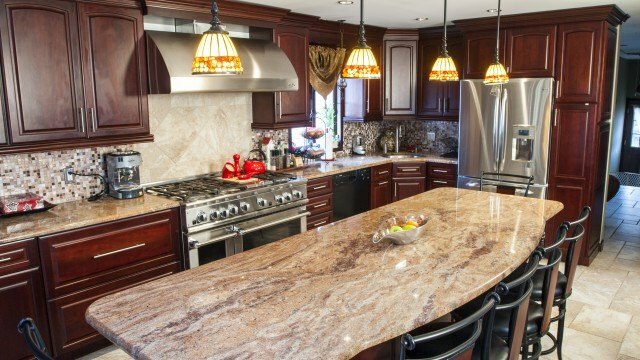 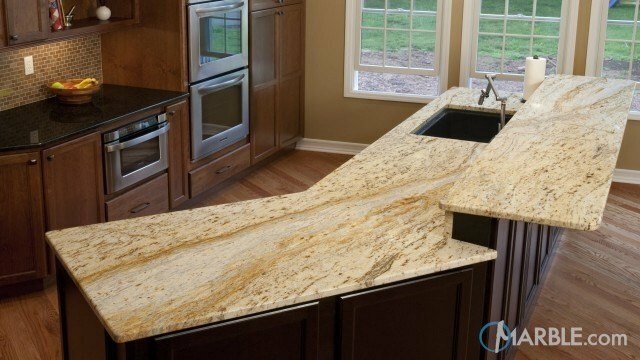 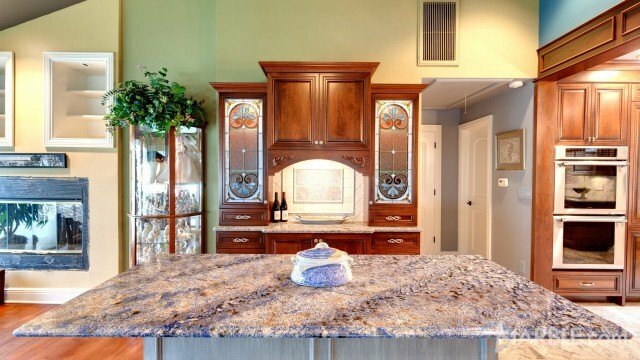 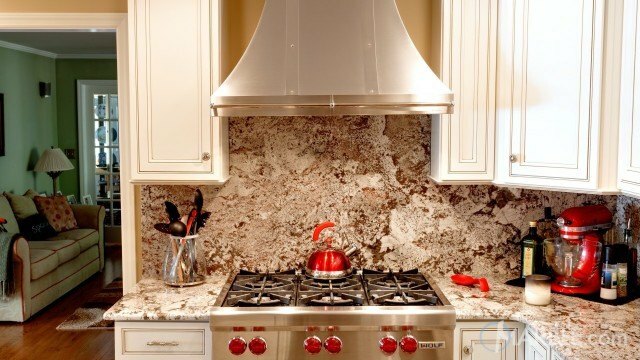 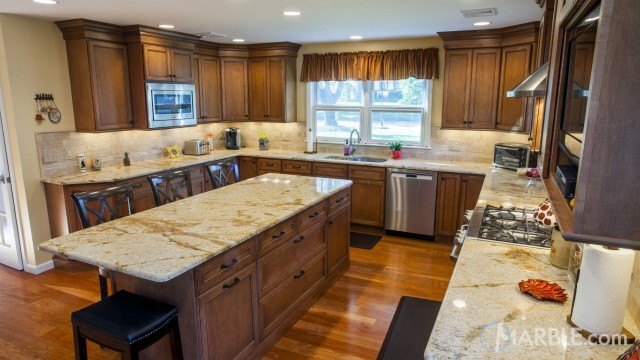 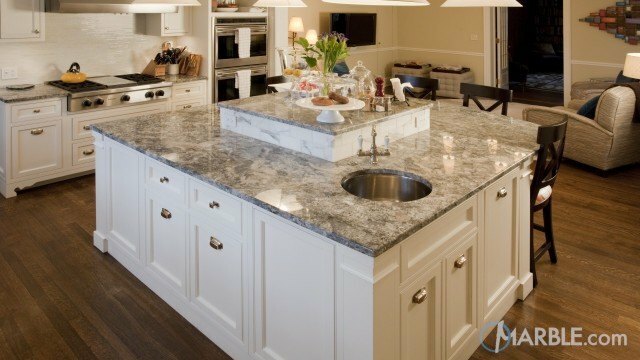 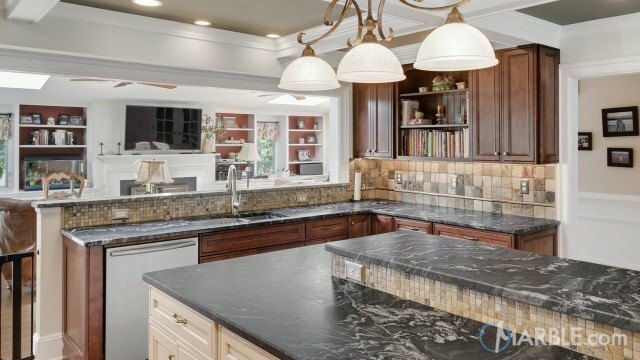 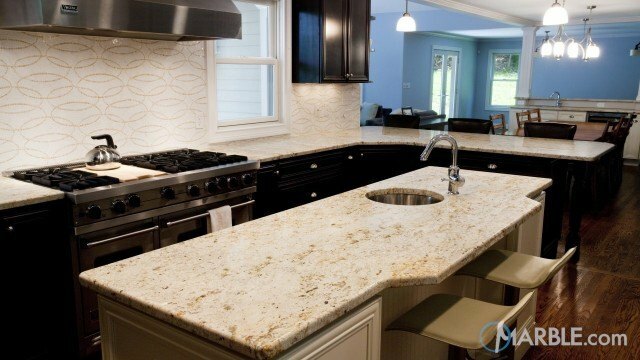 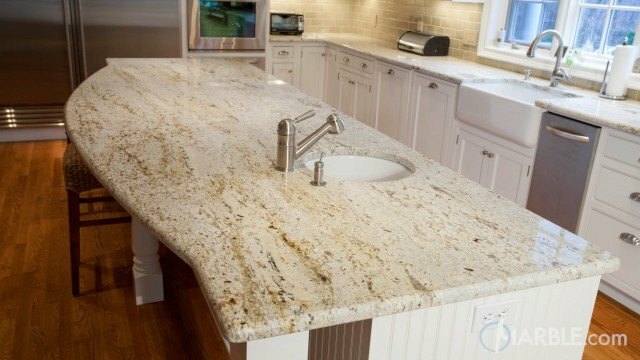 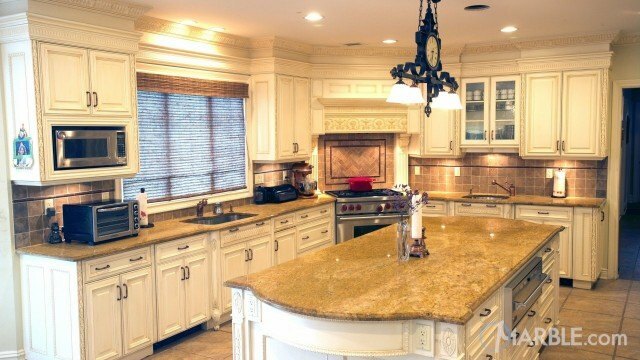 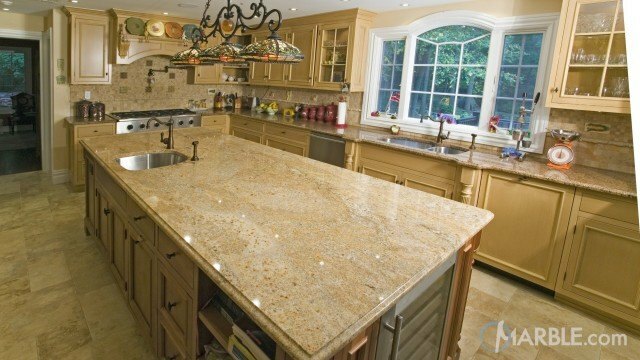 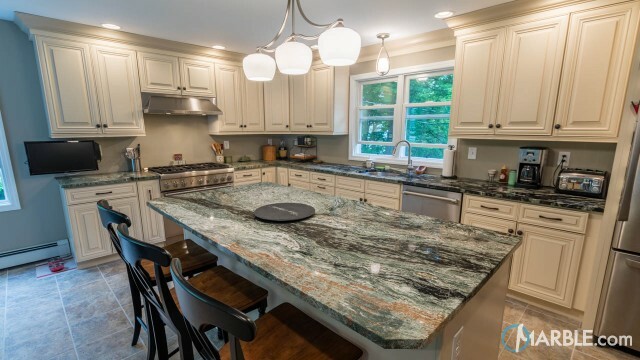 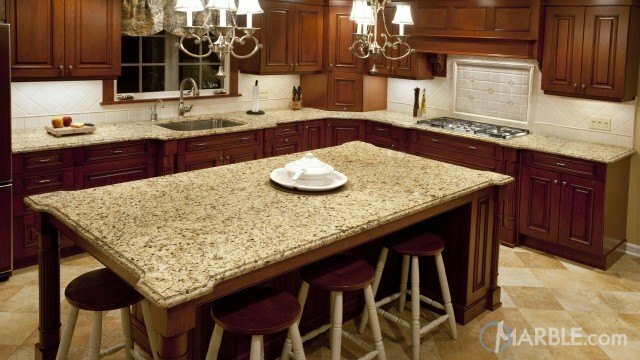 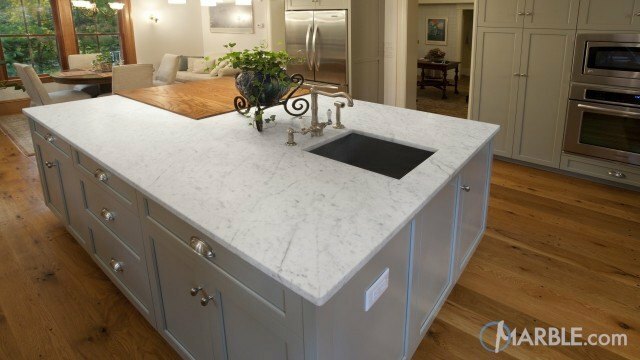 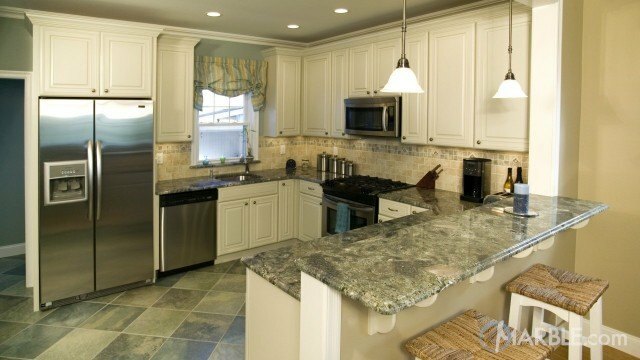 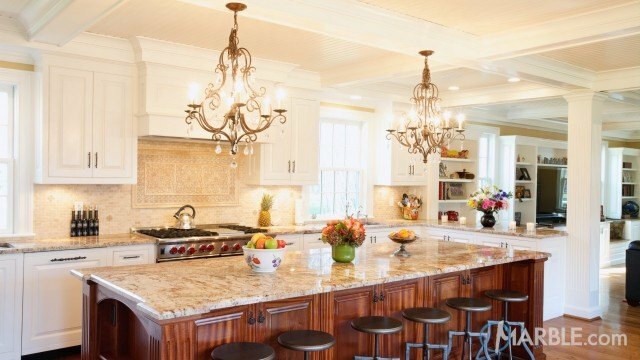 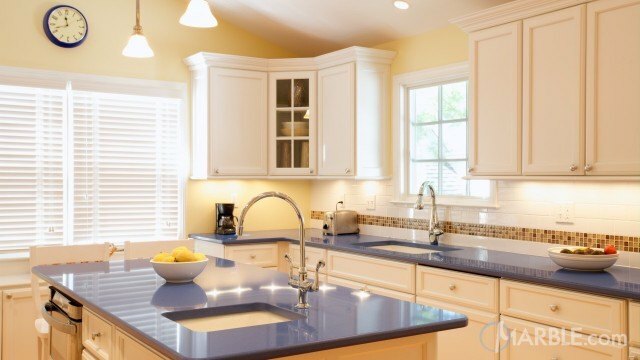 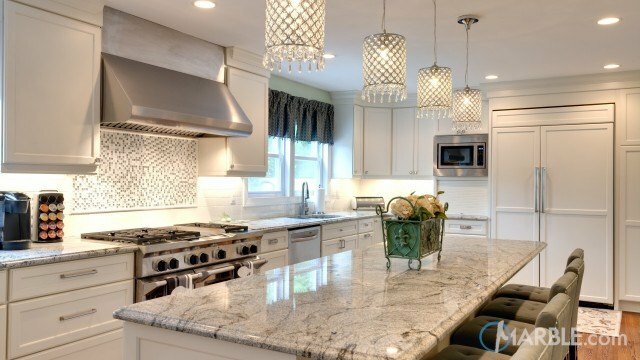 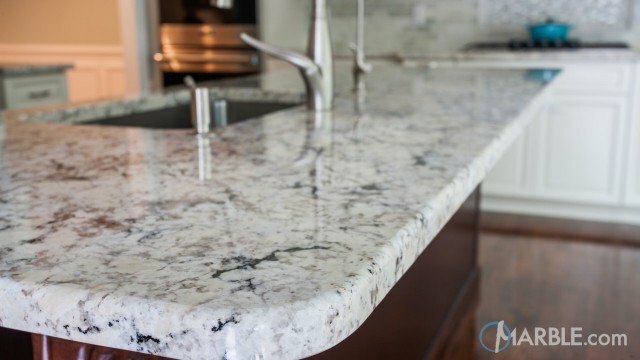 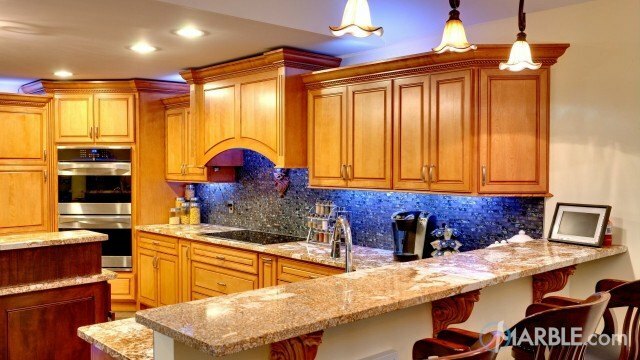 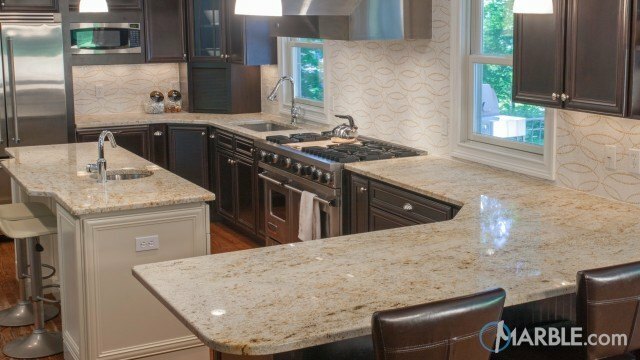 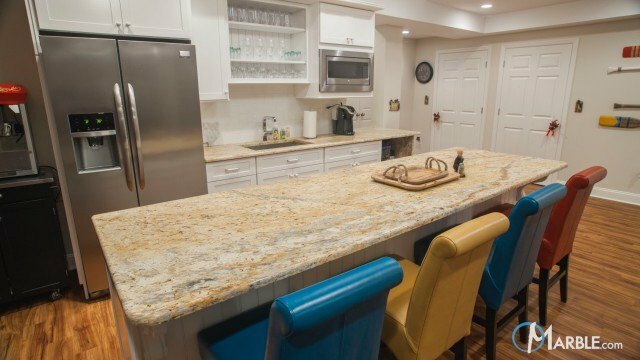 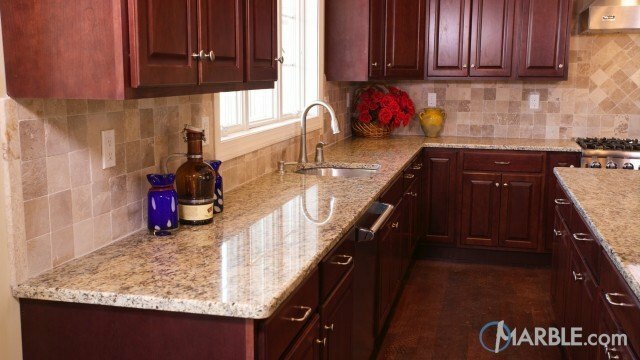 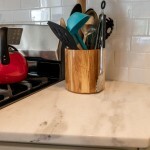 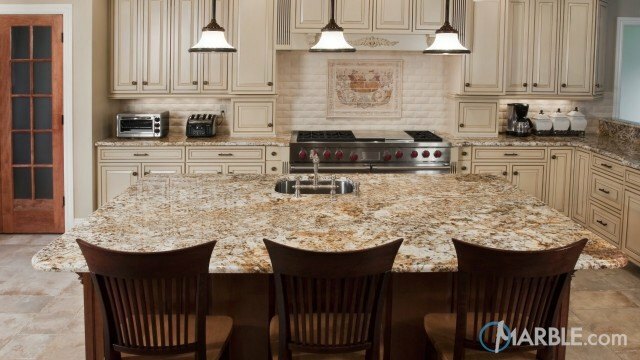 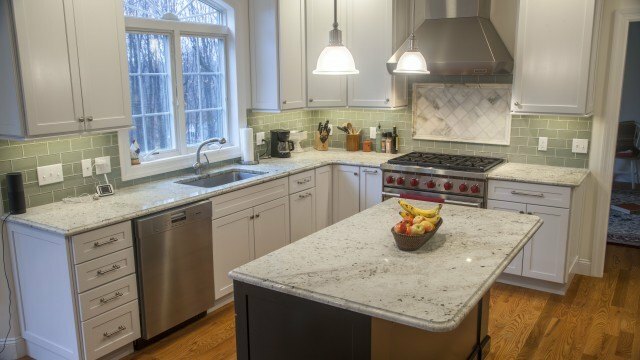 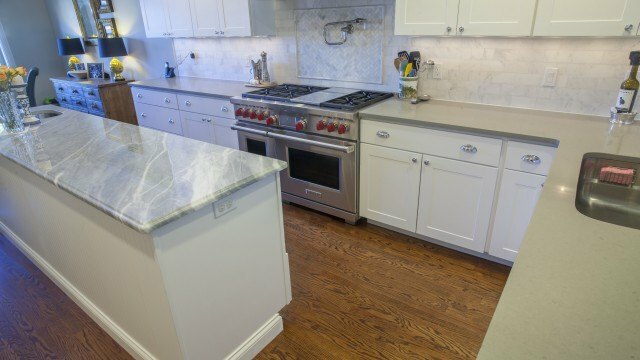 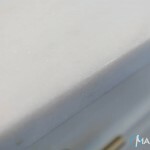 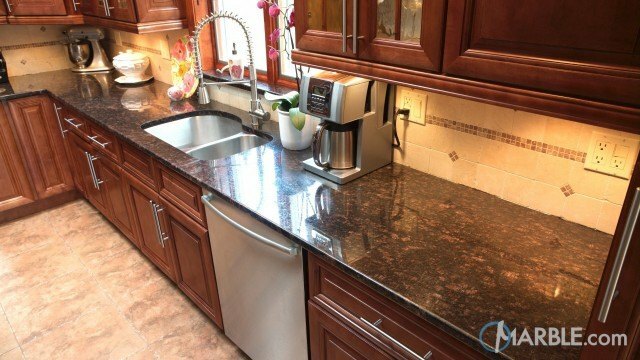 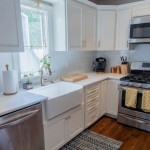 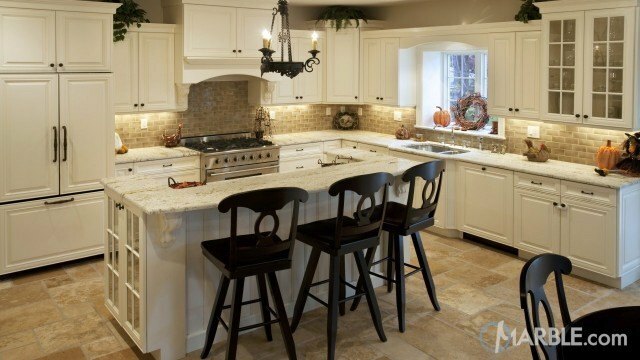 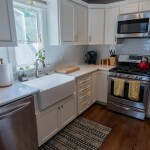 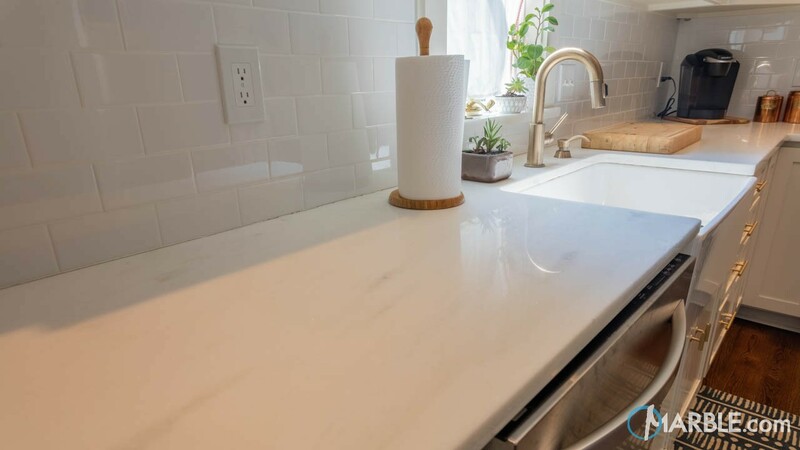 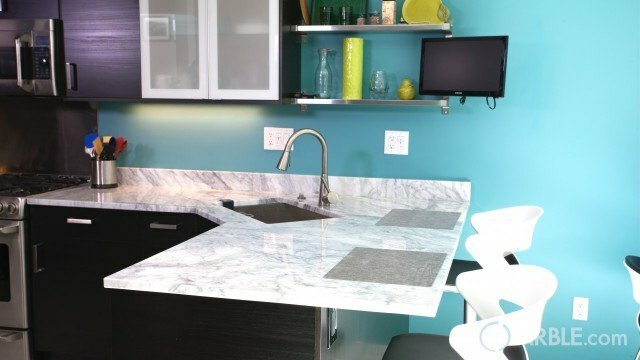 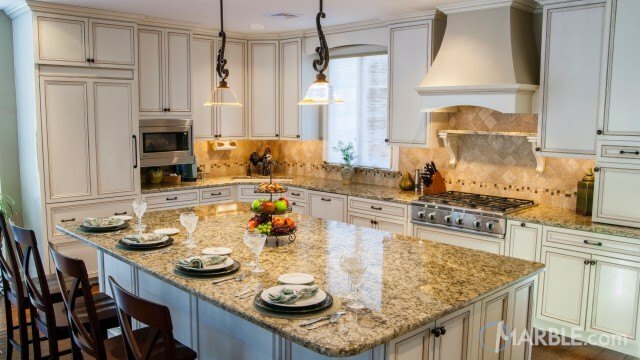 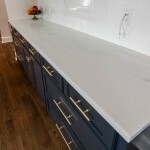 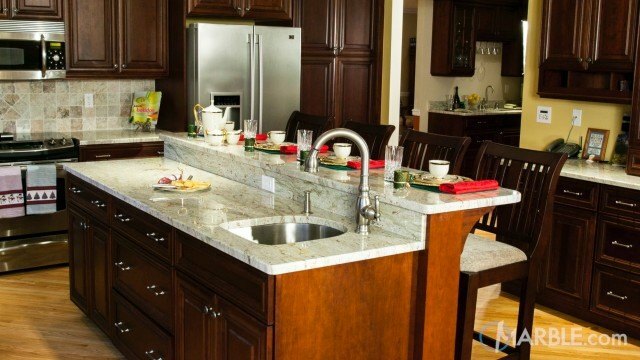 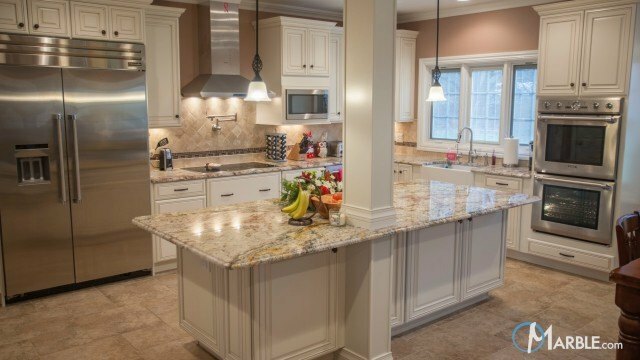 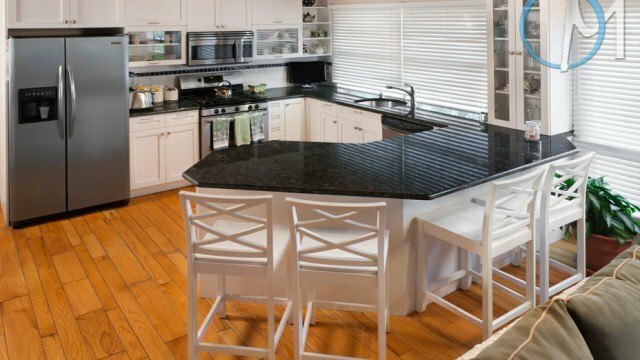 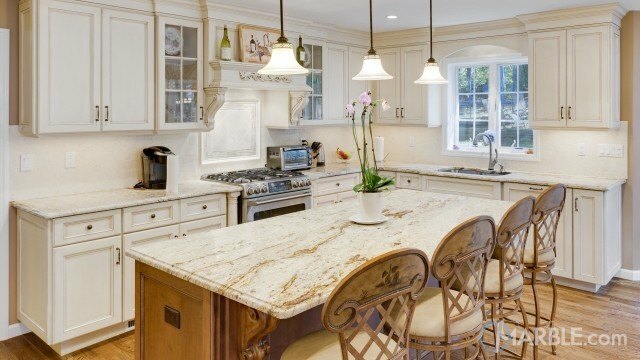 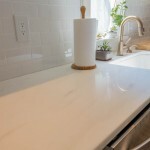 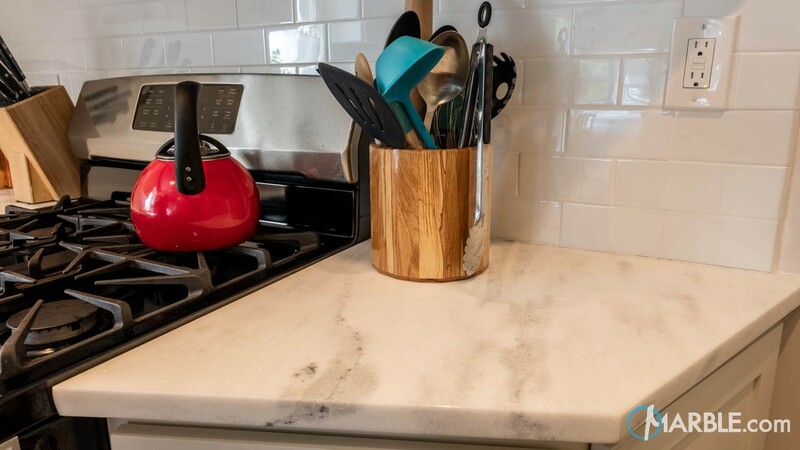 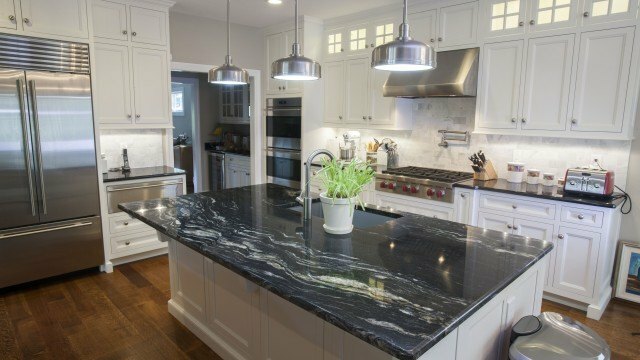 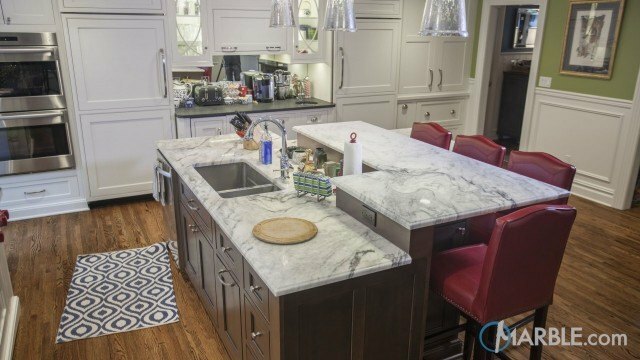 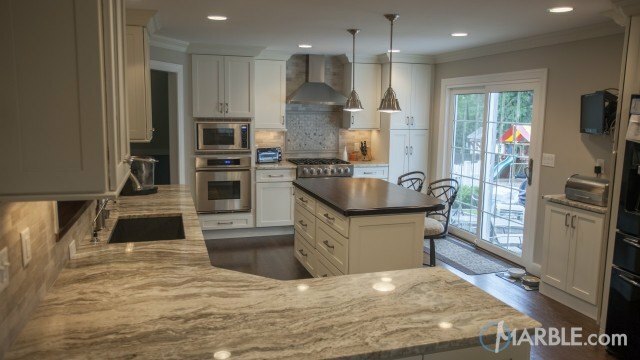 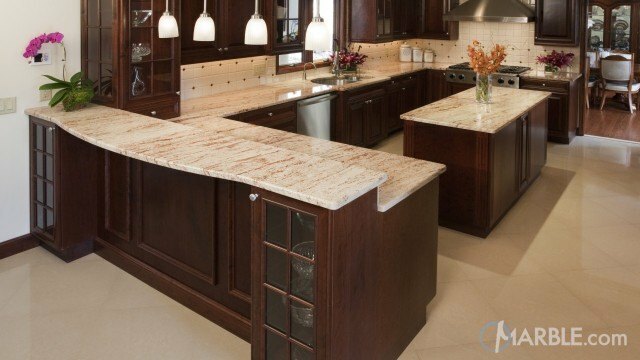 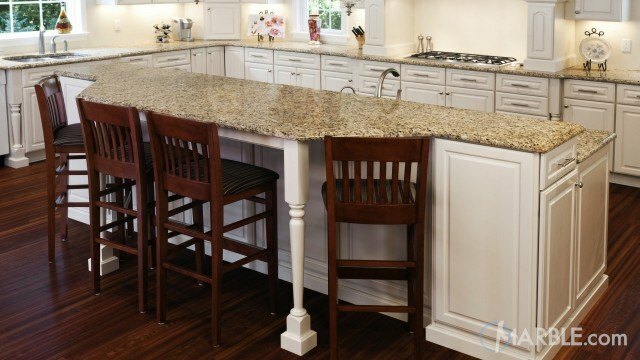 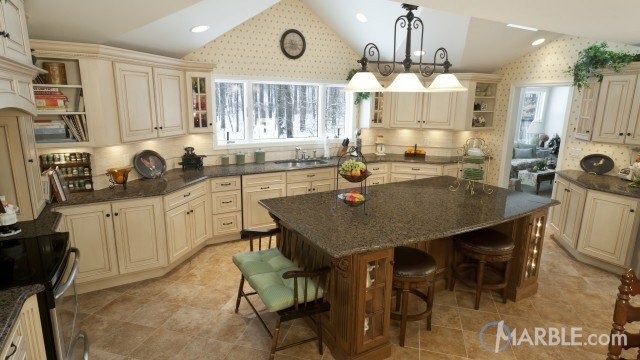 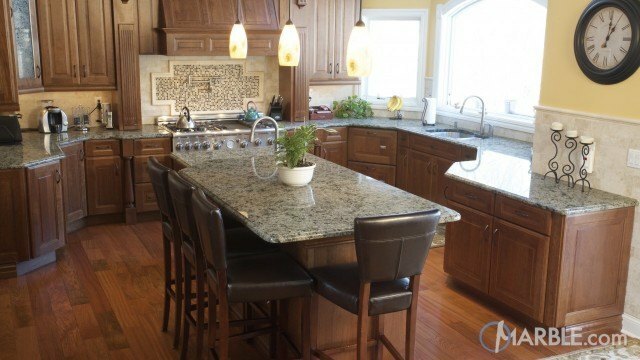 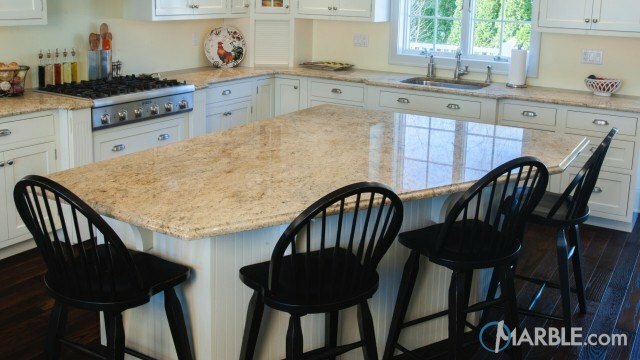 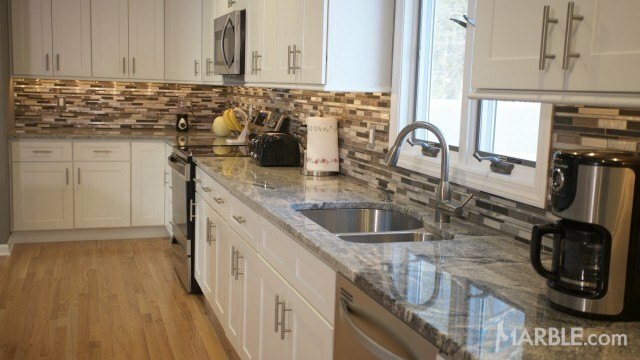 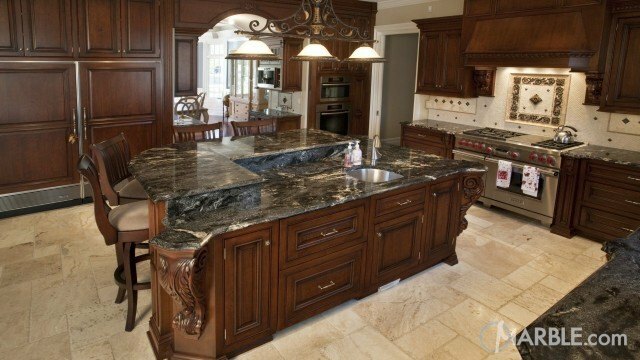 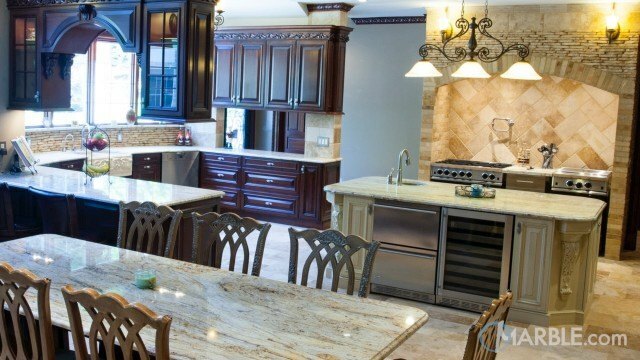 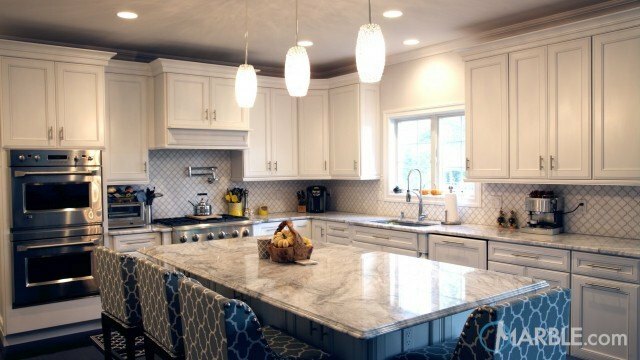 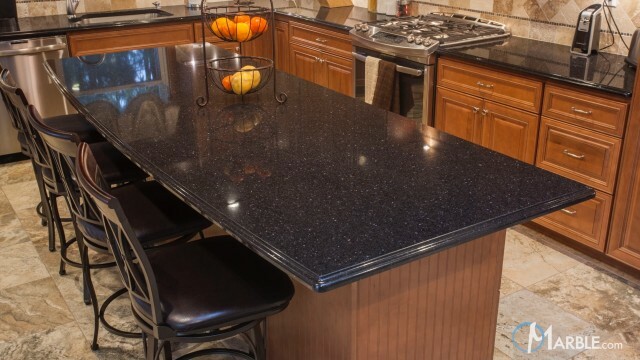 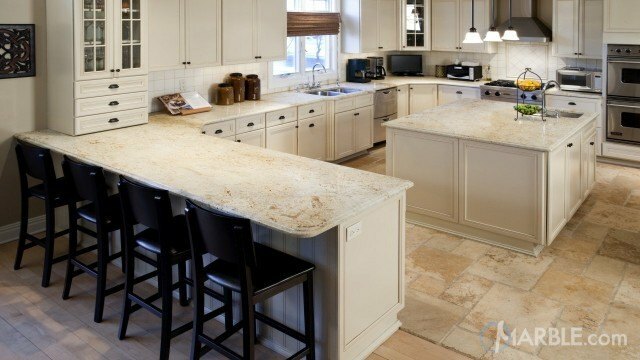 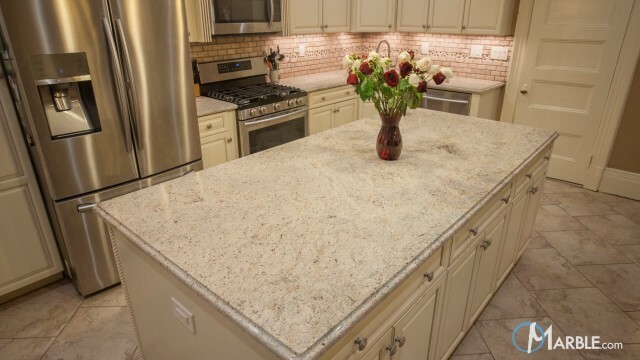 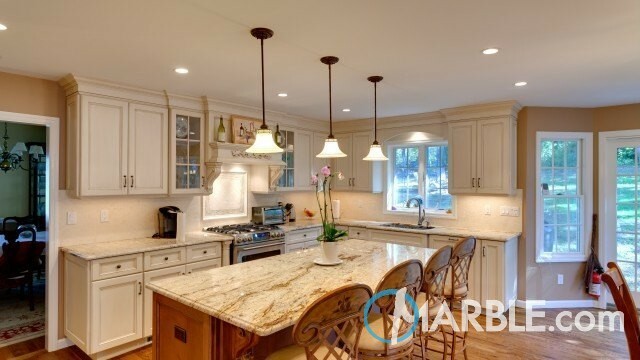 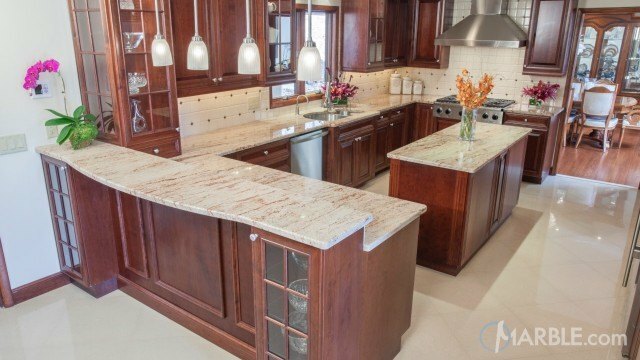 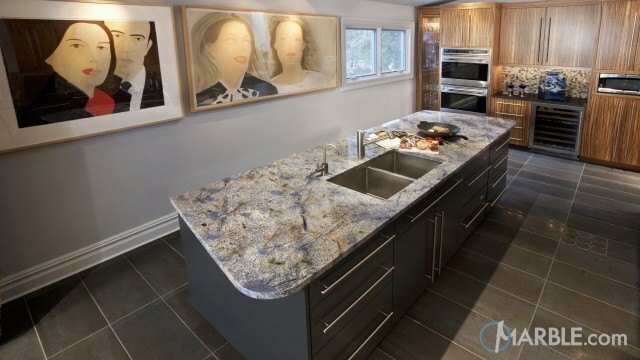 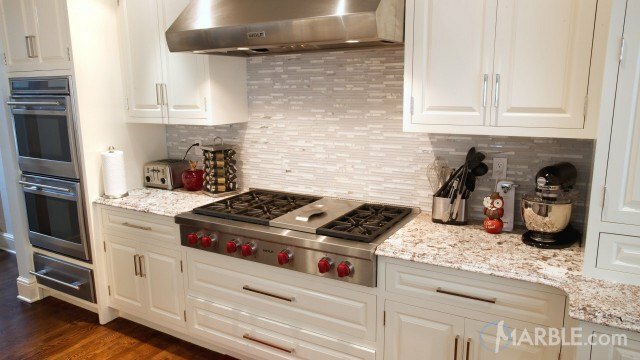 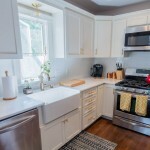 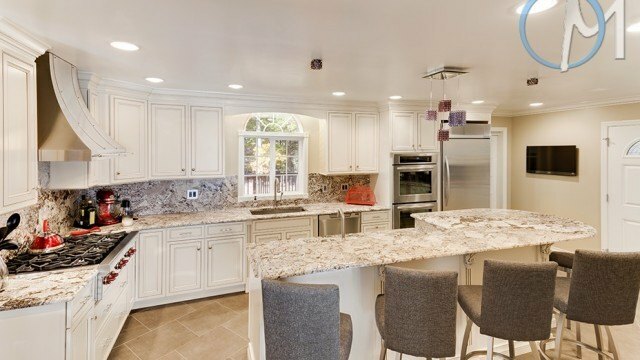 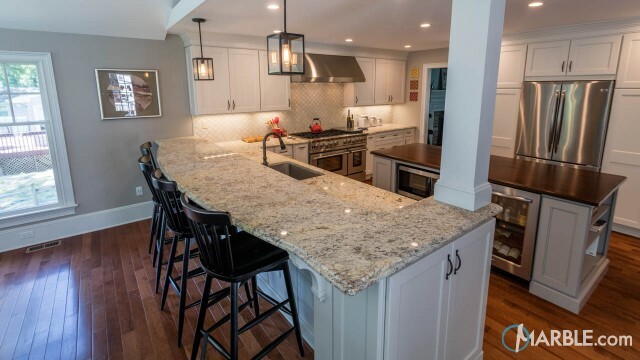 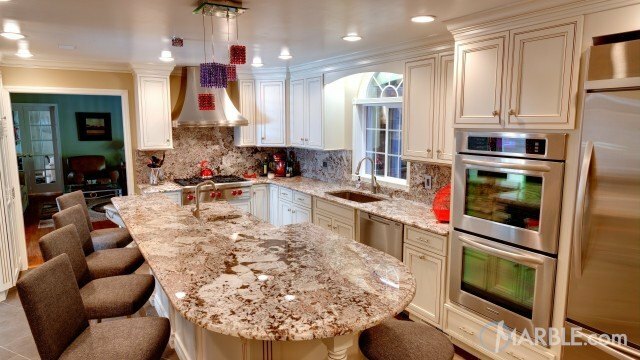 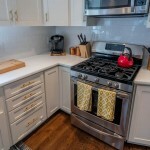 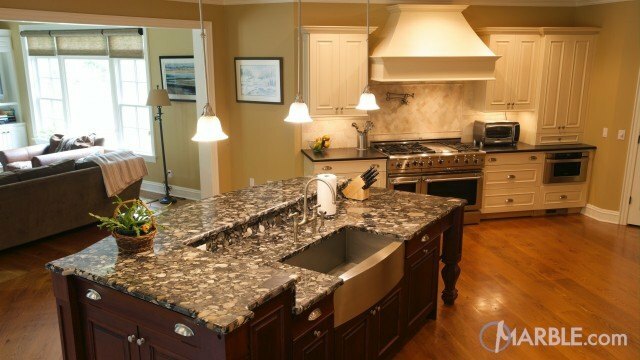 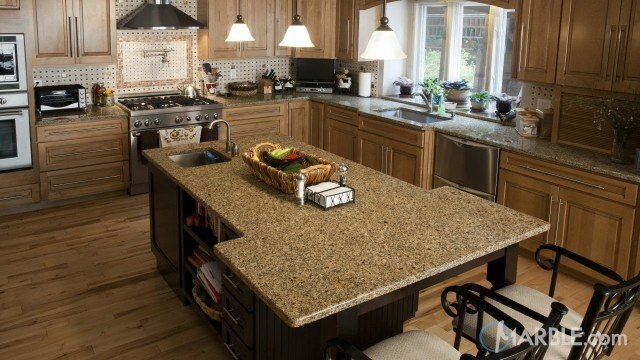 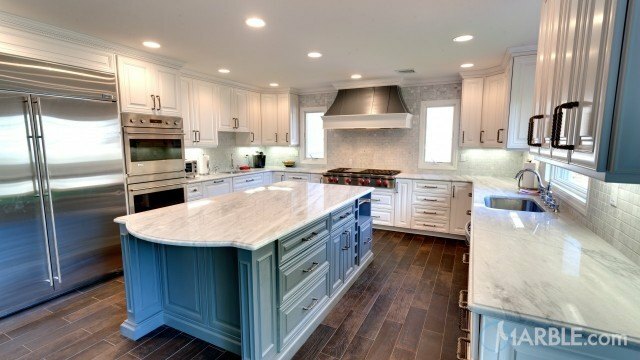 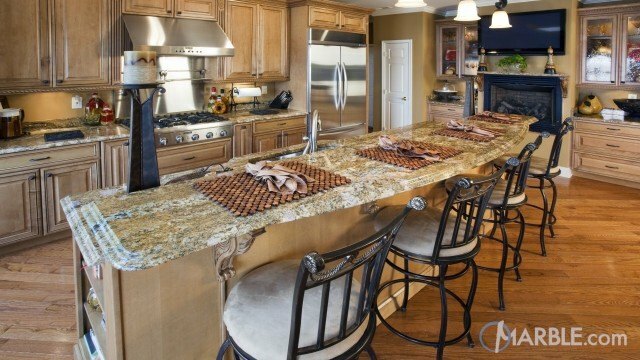 Classic White Quartzite counter tops help create a beautiful and pristine decor for this kitchen. 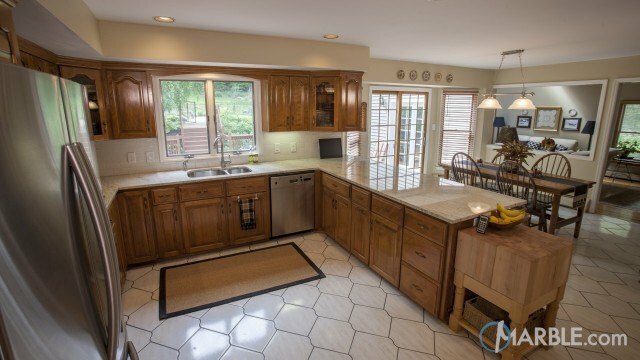 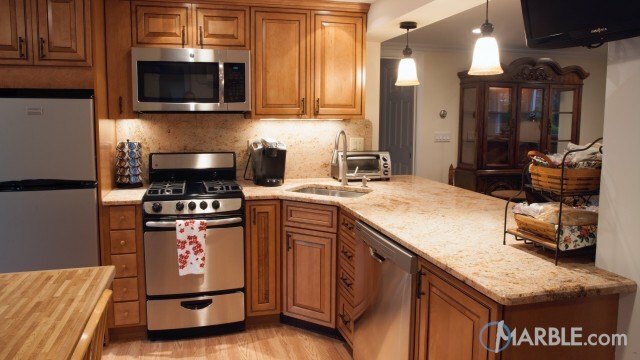 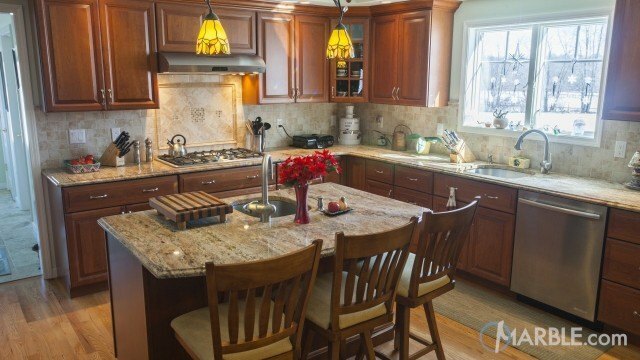 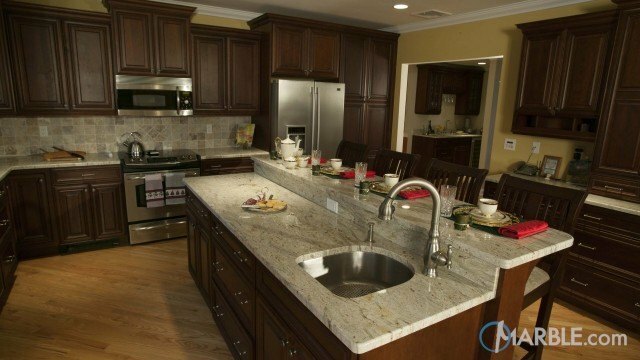 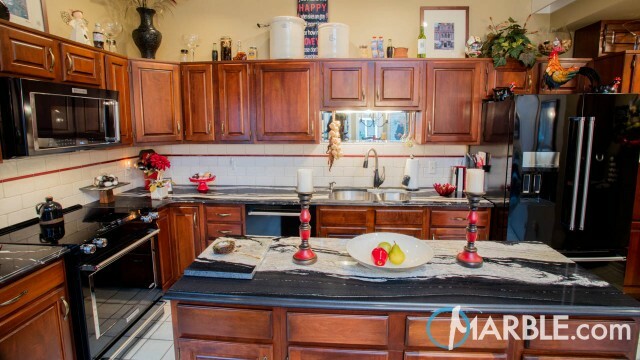 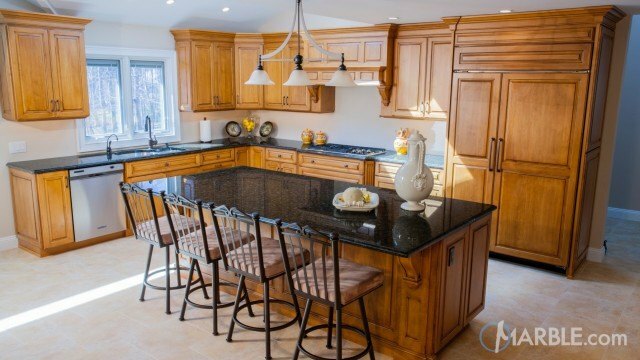 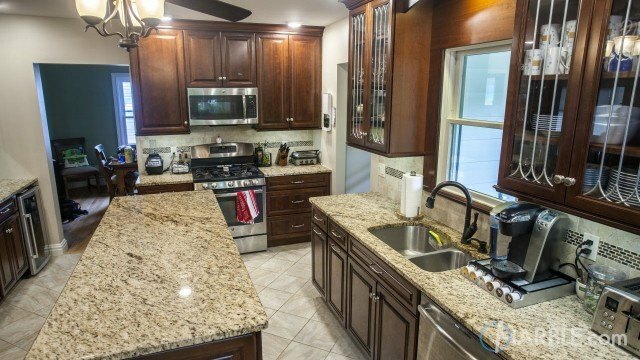 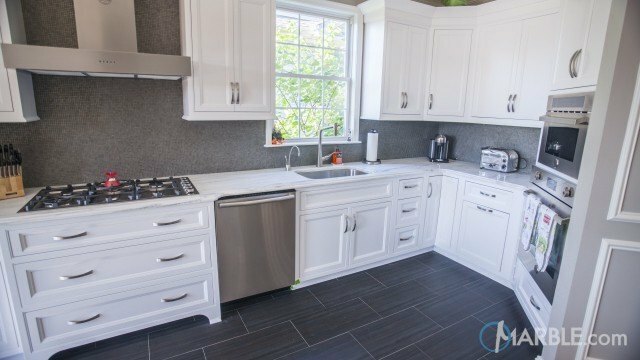 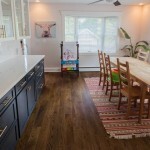 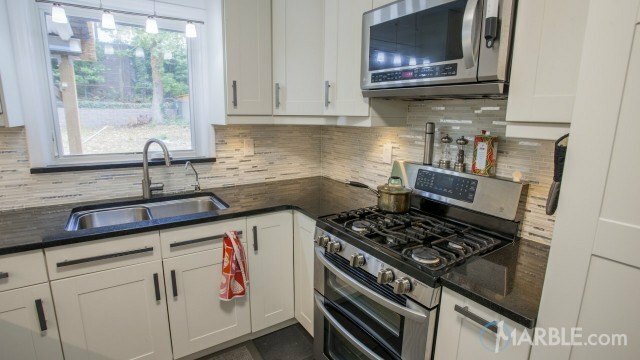 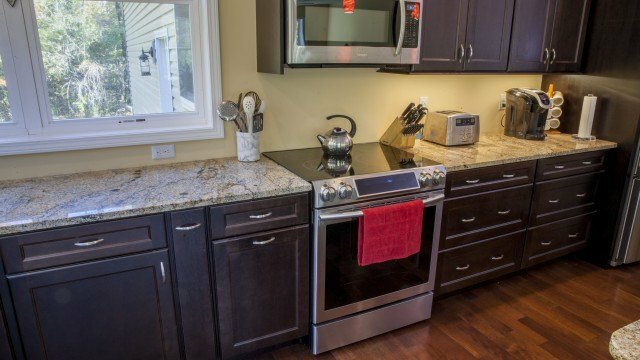 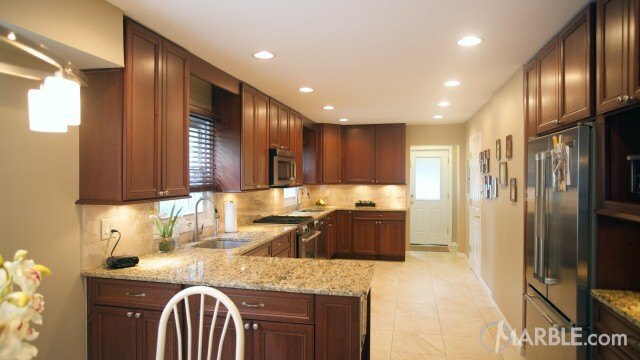 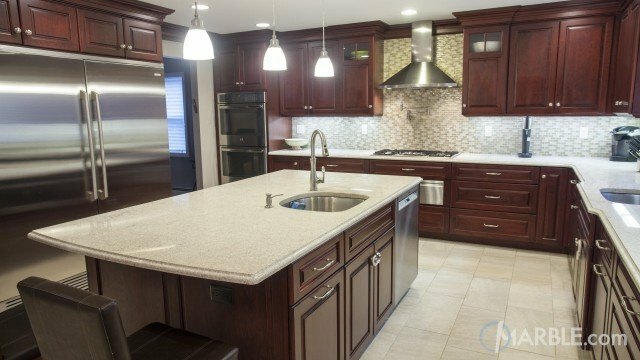 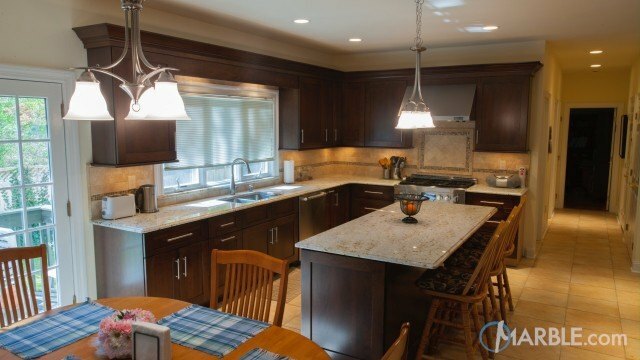 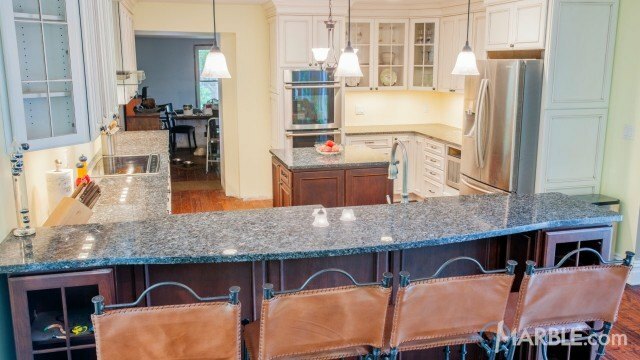 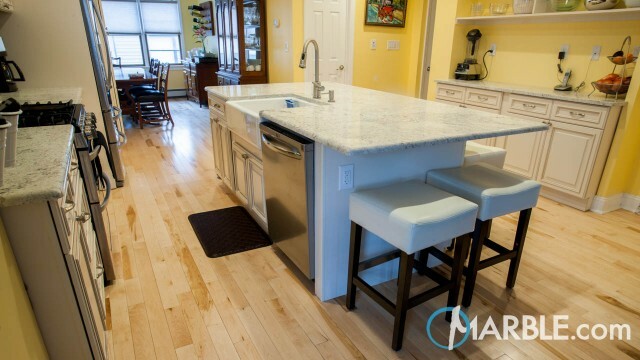 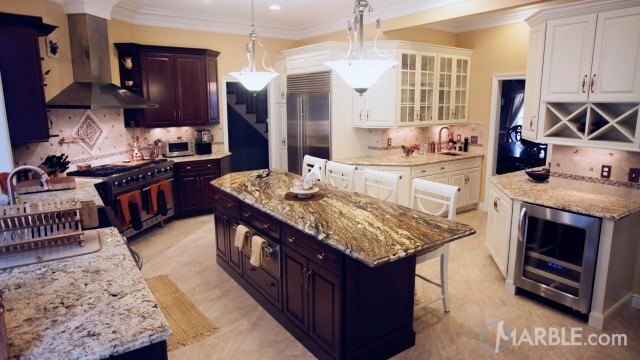 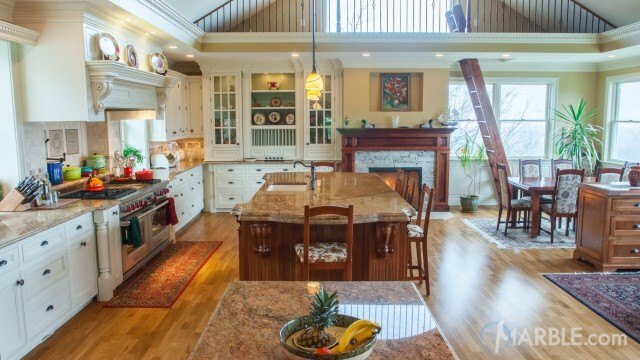 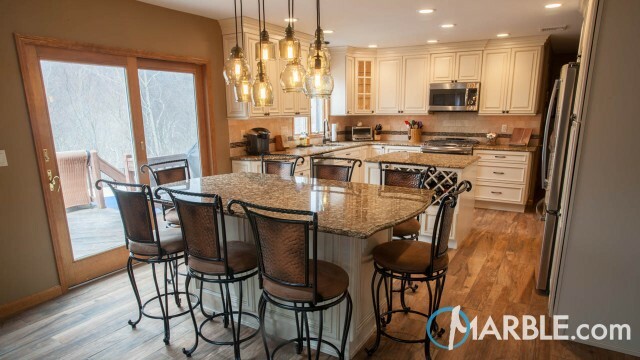 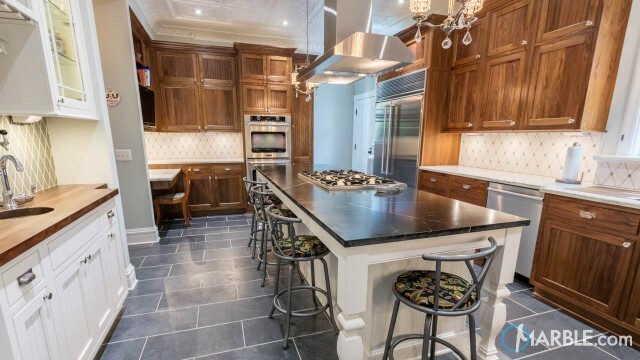 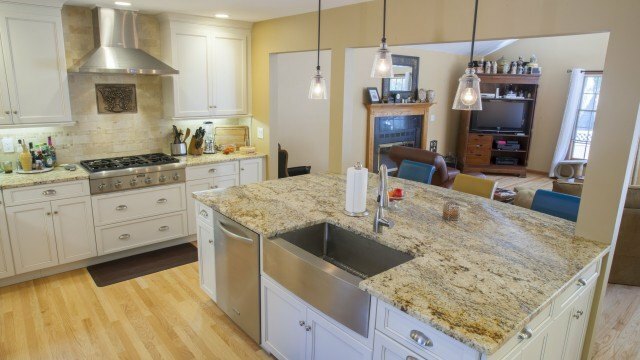 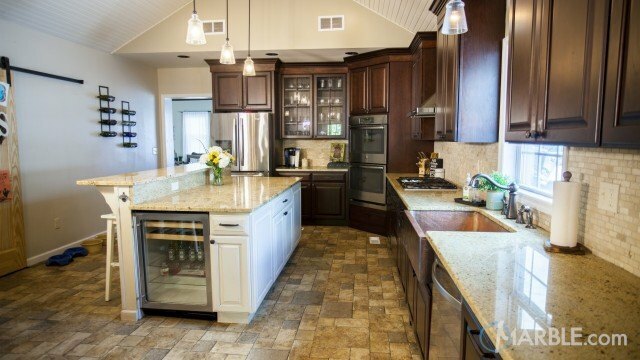 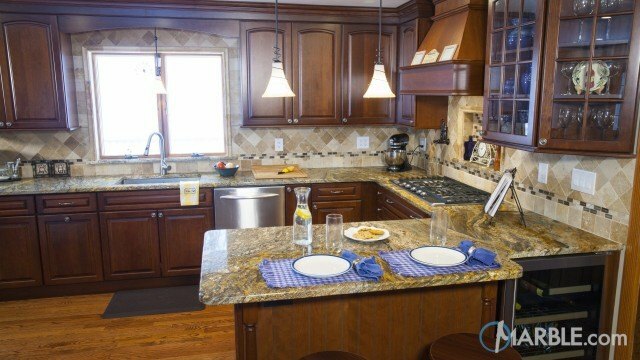 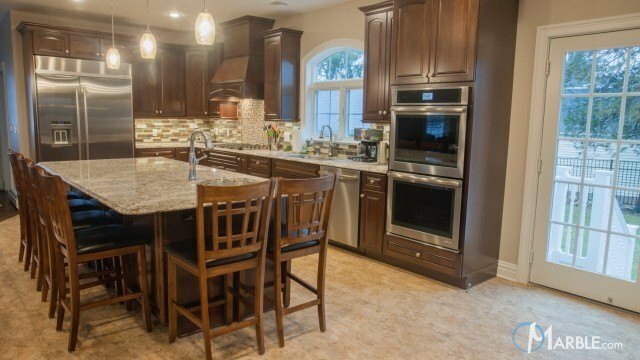 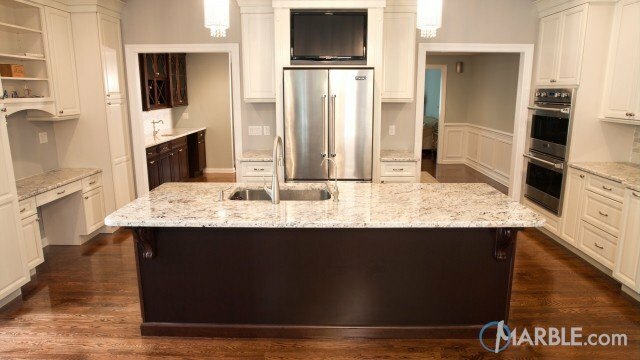 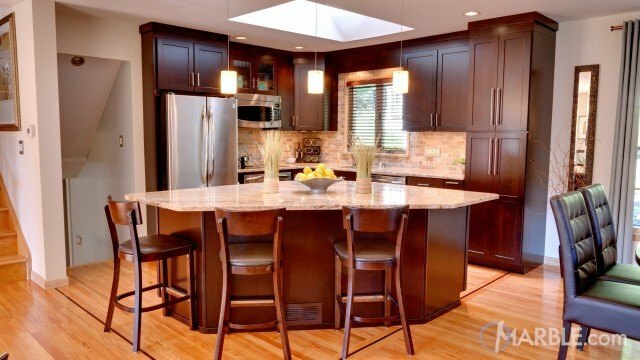 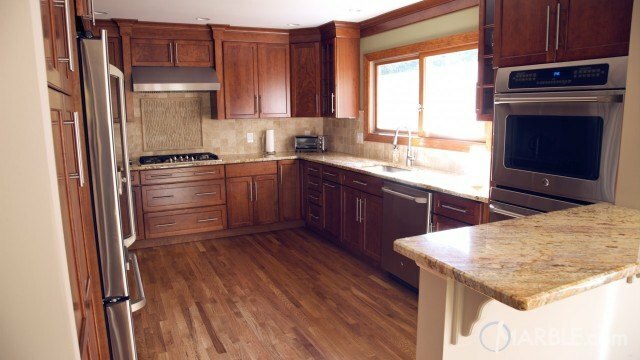 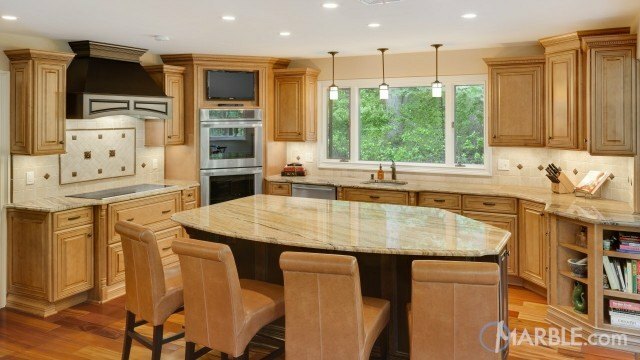 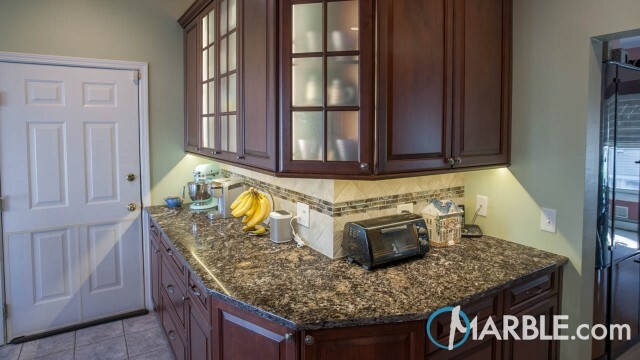 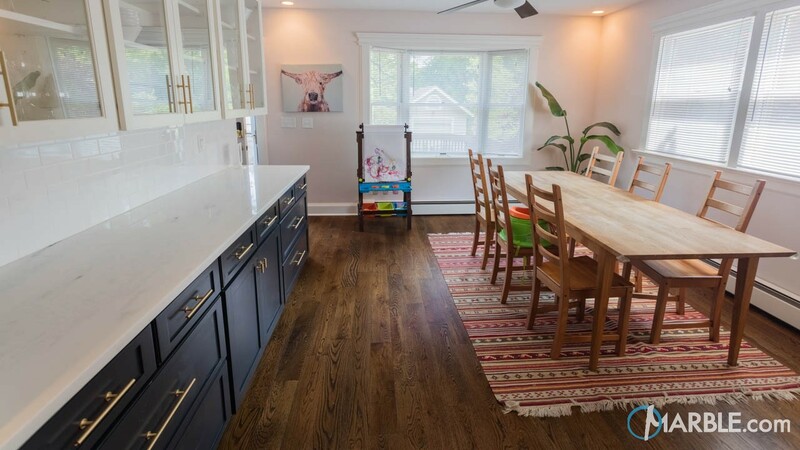 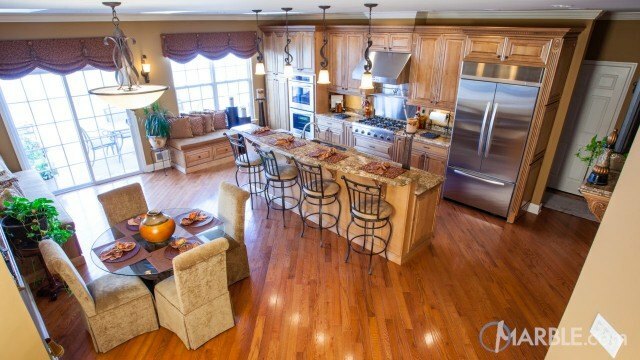 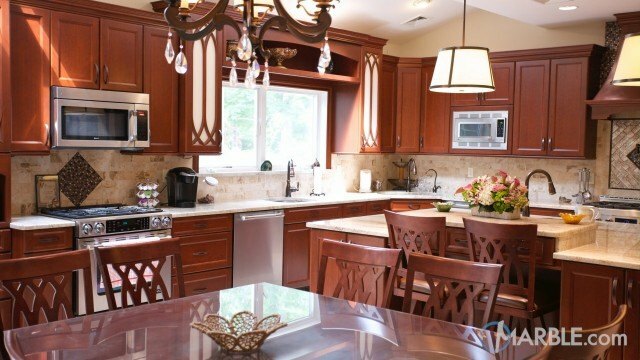 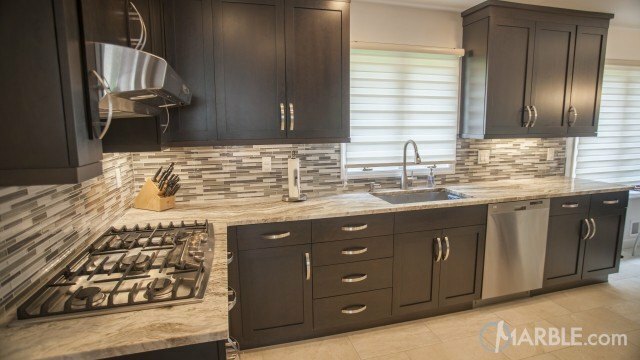 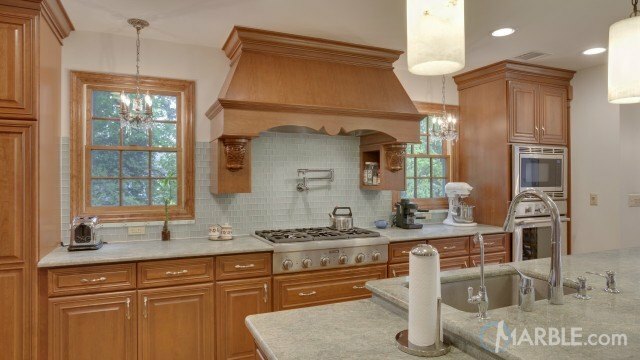 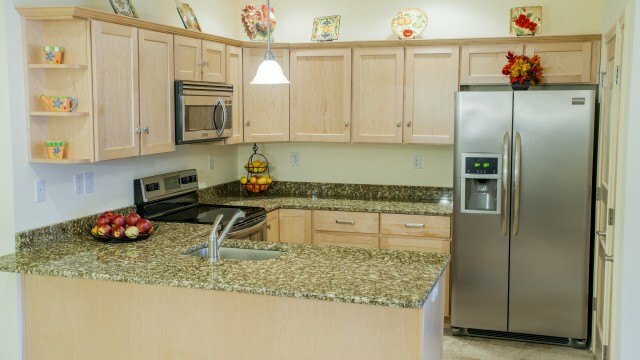 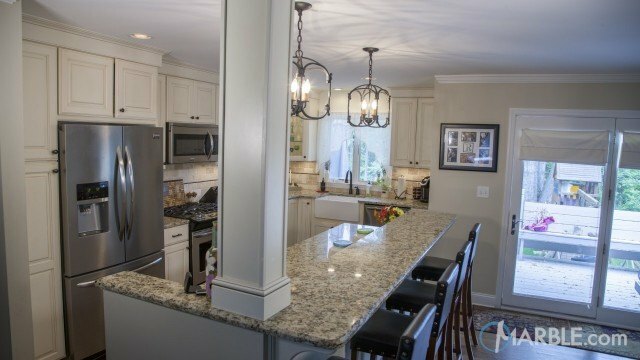 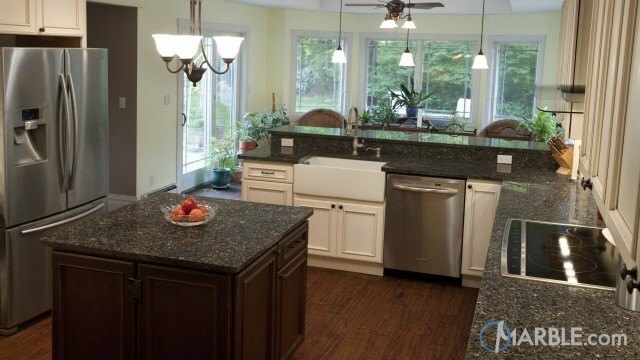 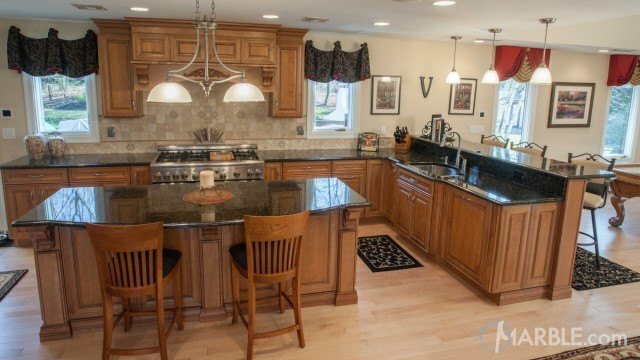 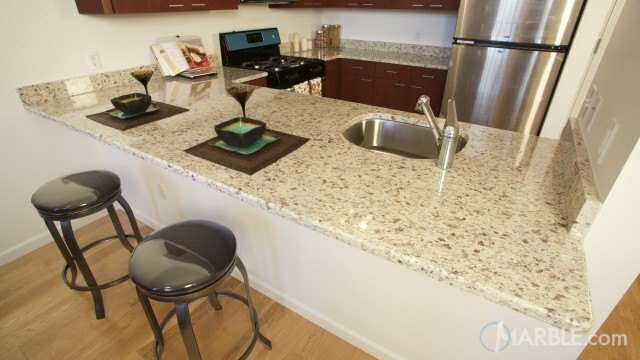 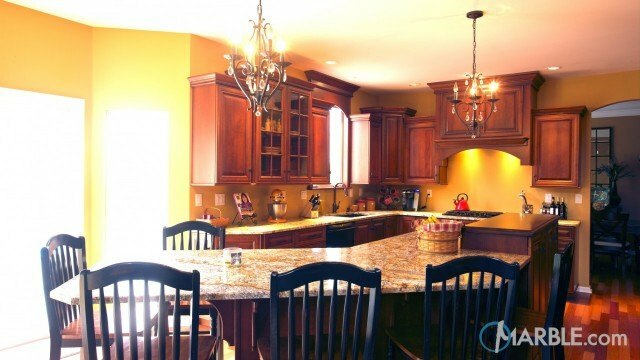 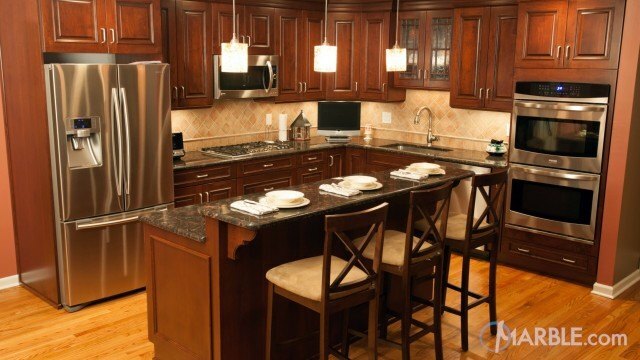 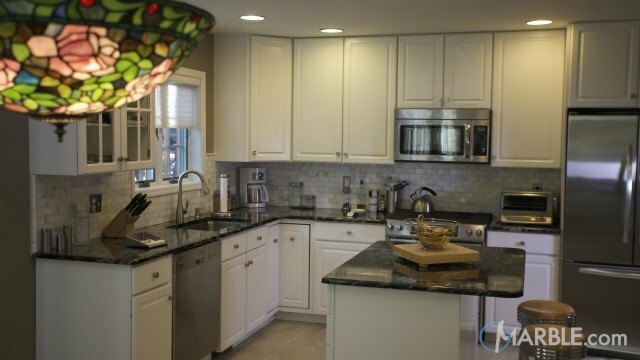 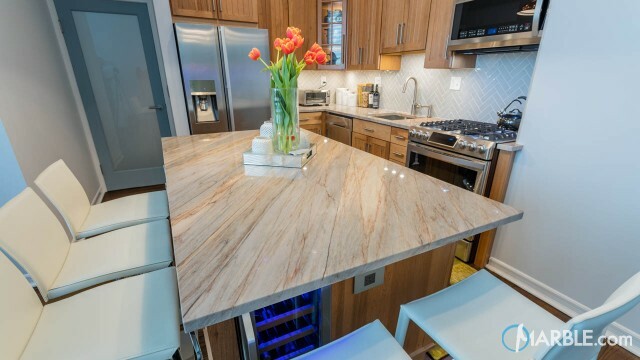 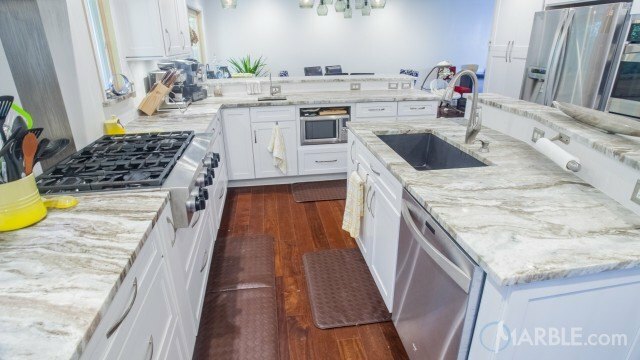 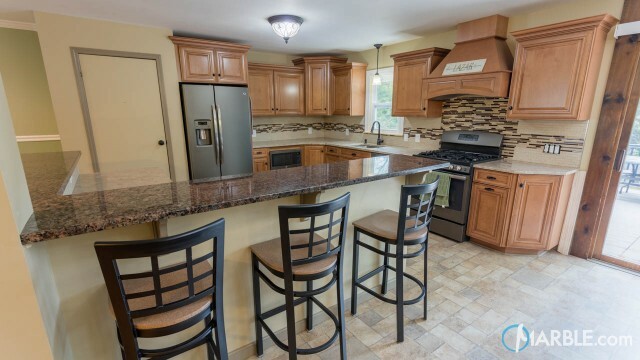 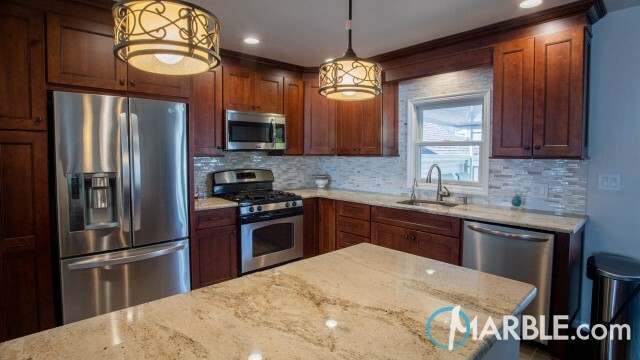 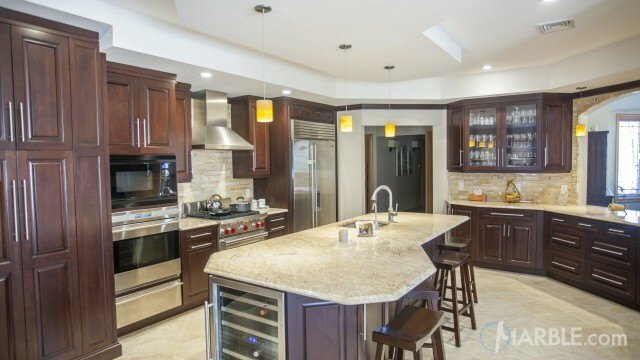 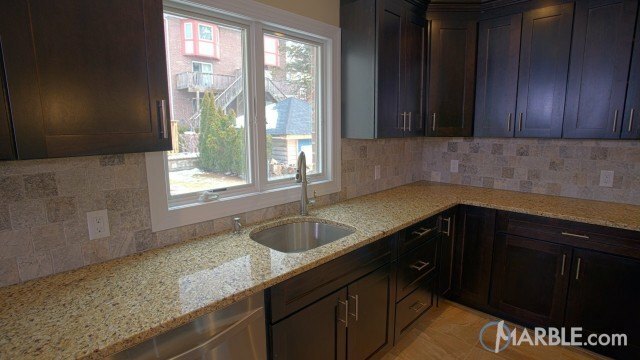 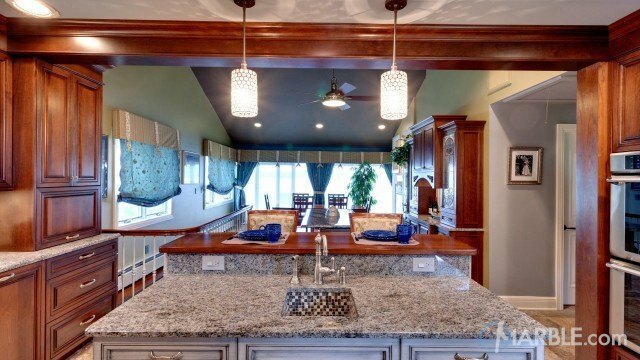 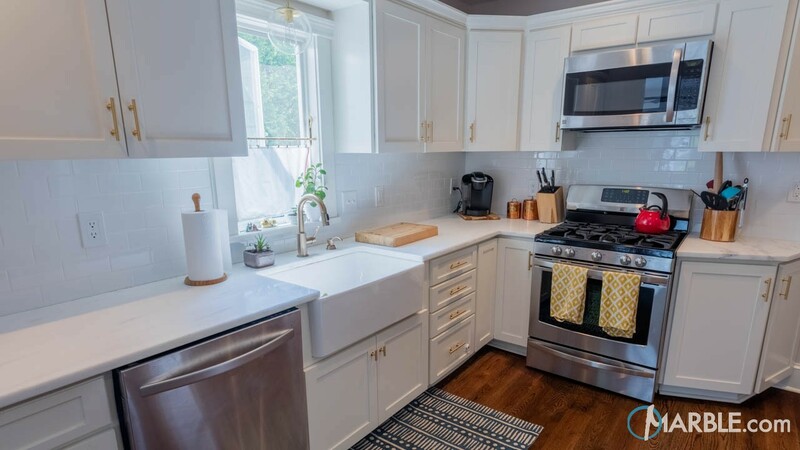 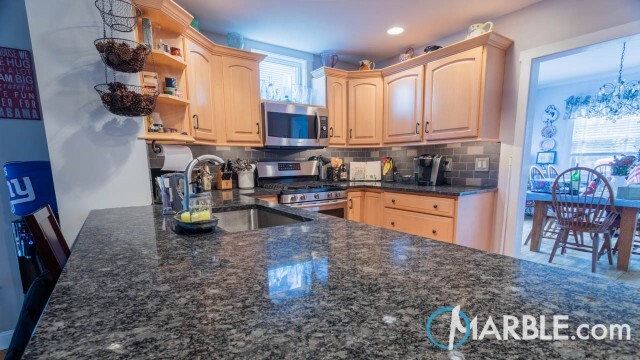 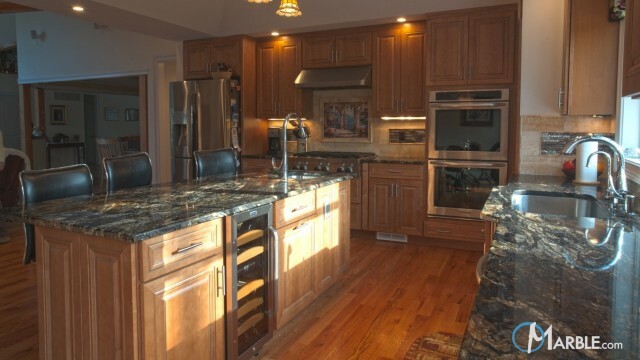 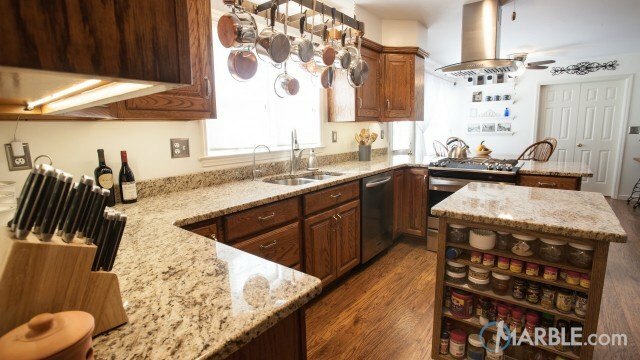 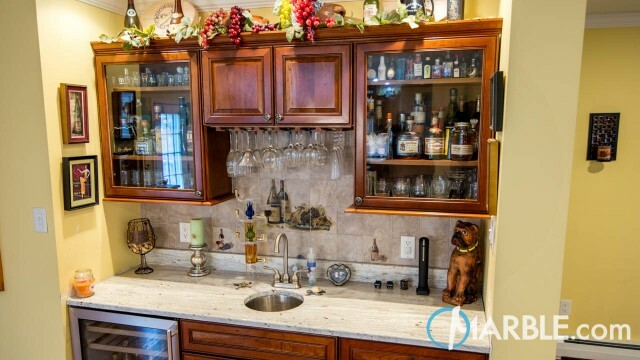 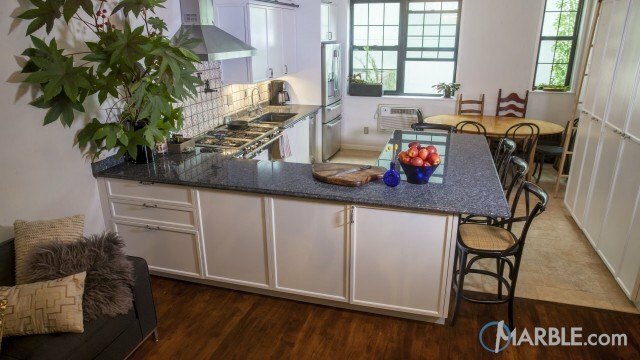 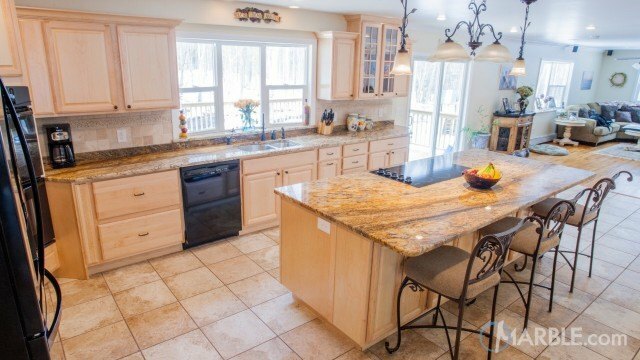 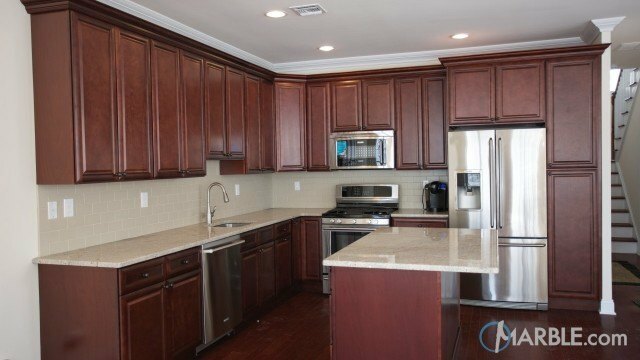 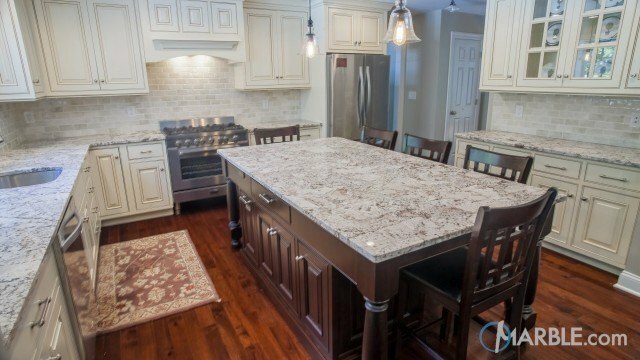 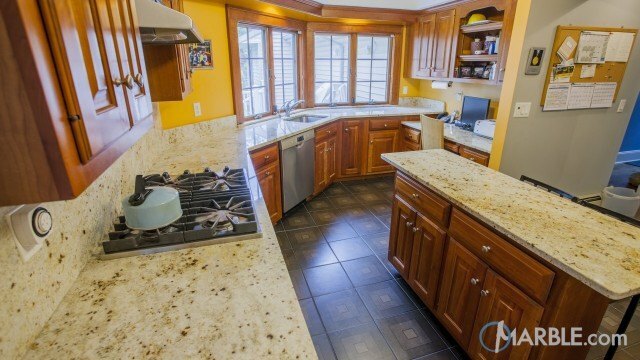 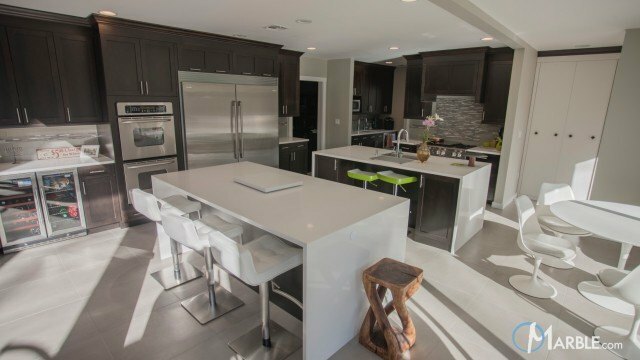 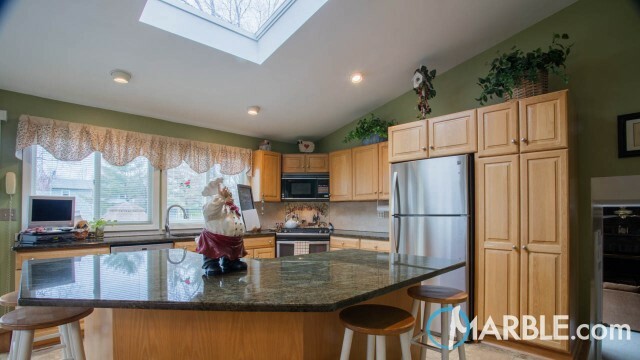 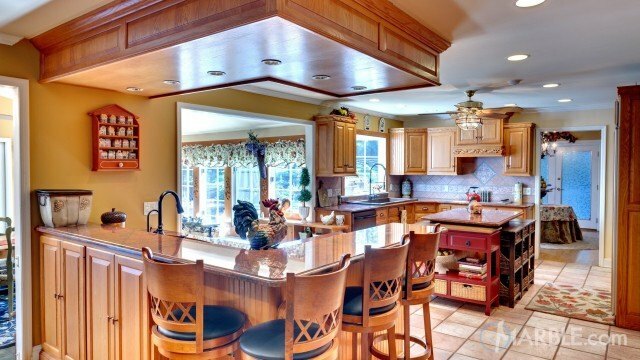 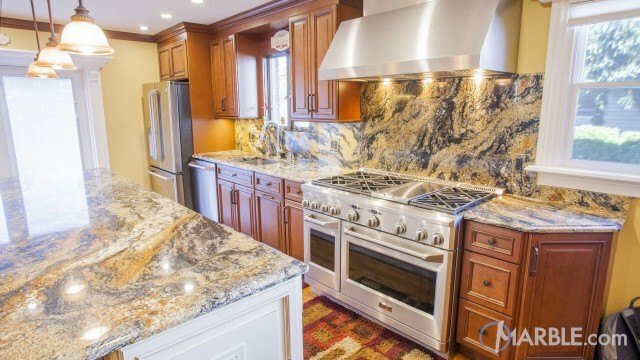 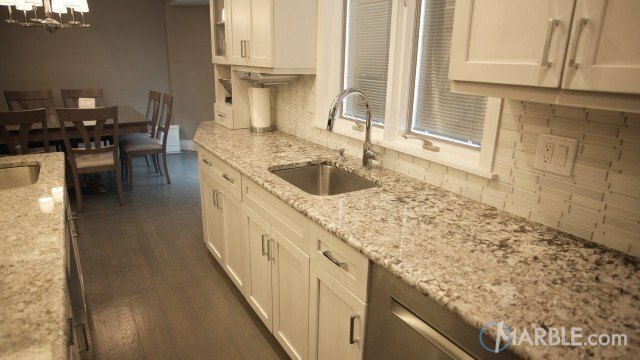 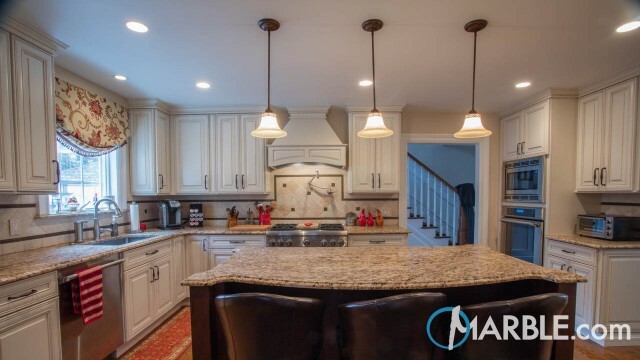 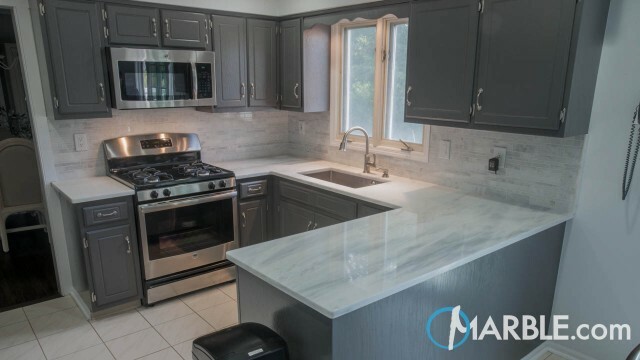 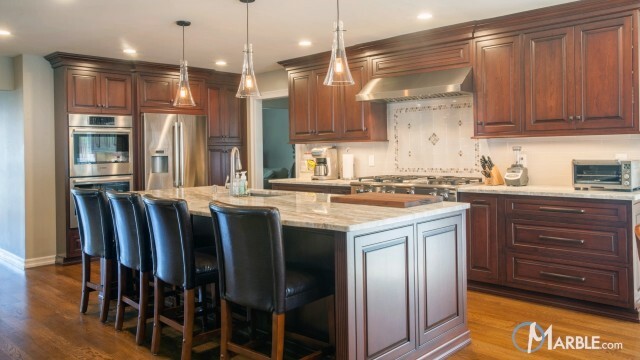 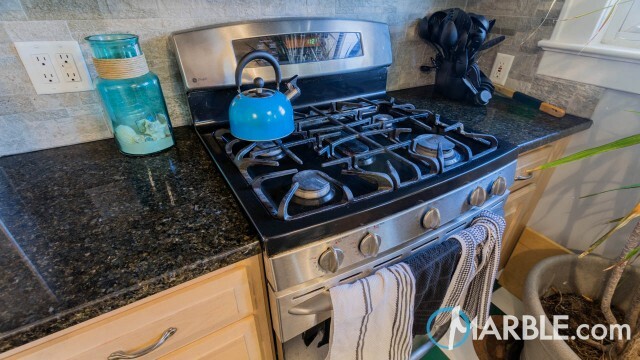 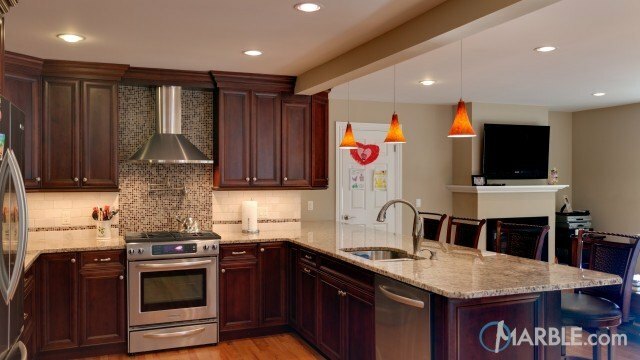 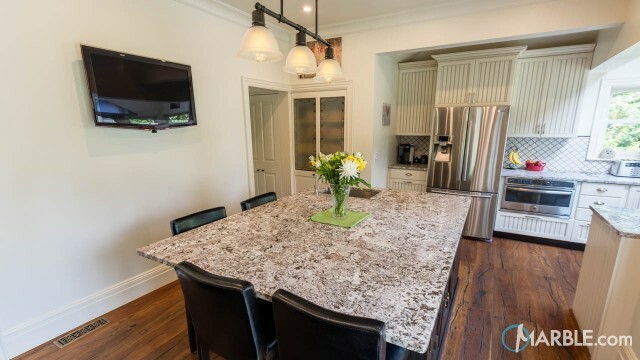 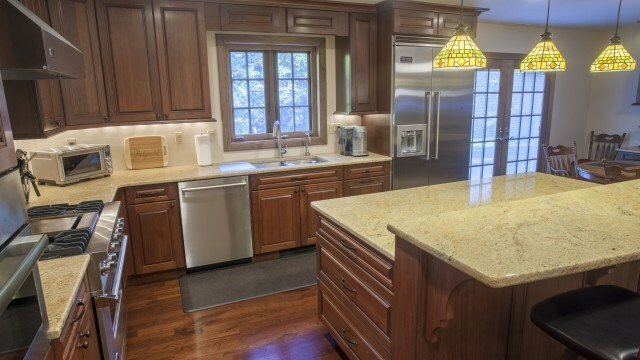 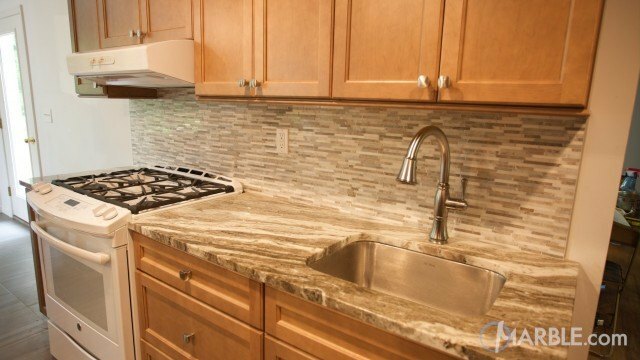 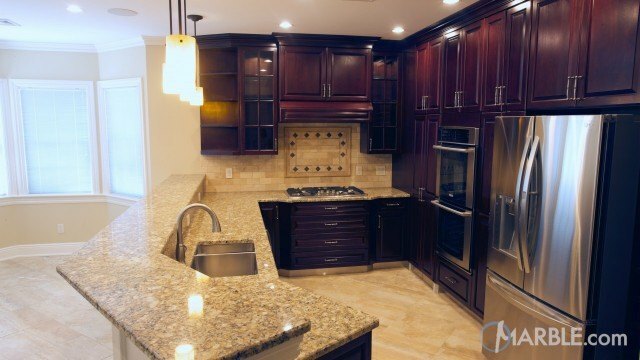 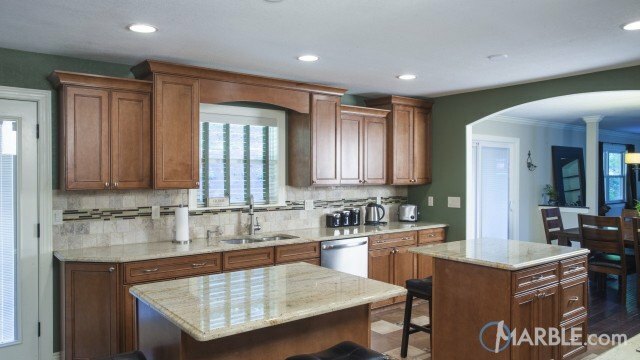 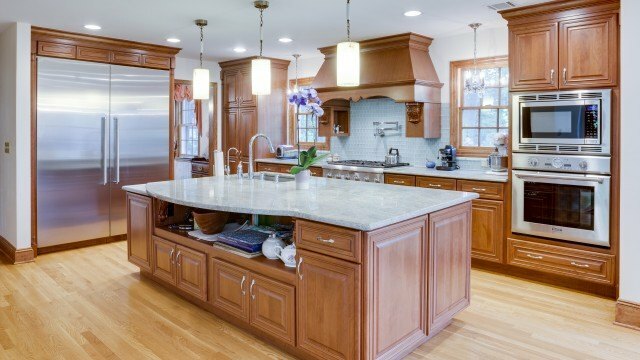 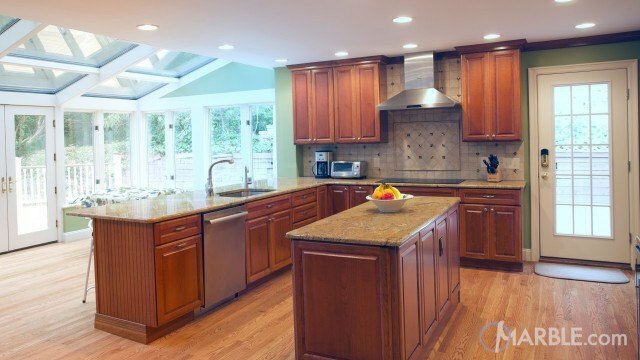 The lush hardwood floor, gorgeous cabinets and stainless steel appliances set this kitchen apart from the rest. 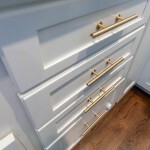 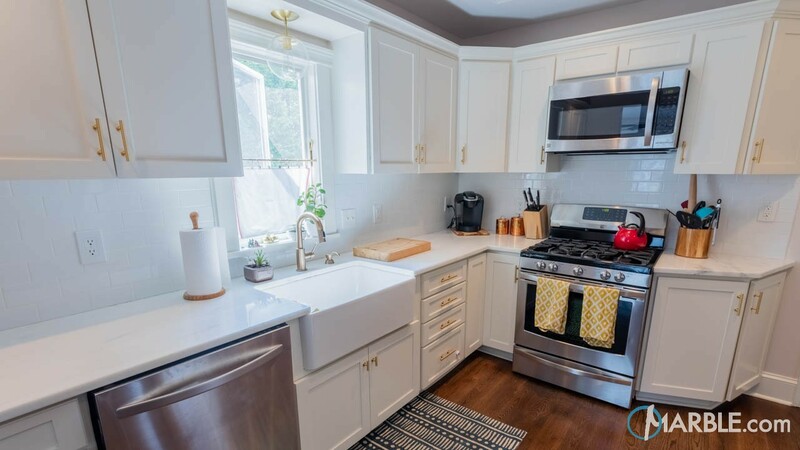 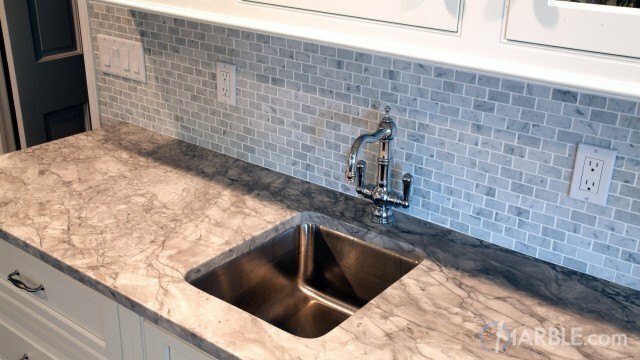 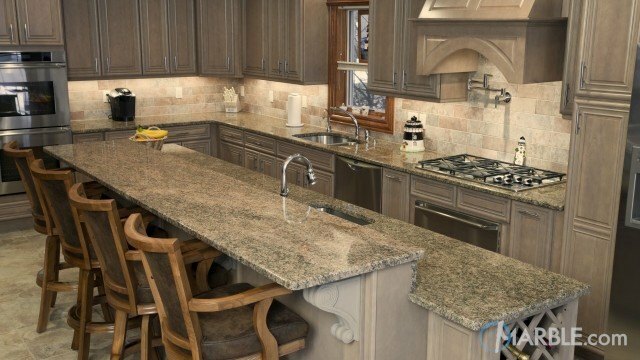 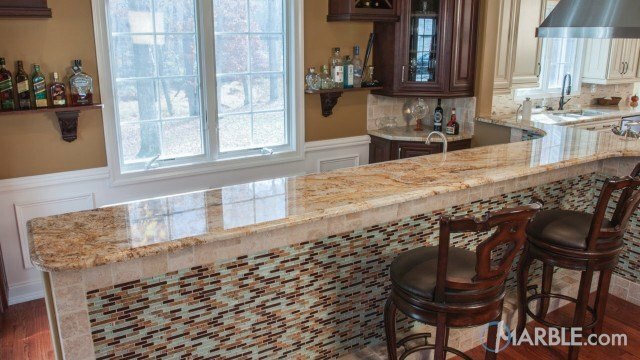 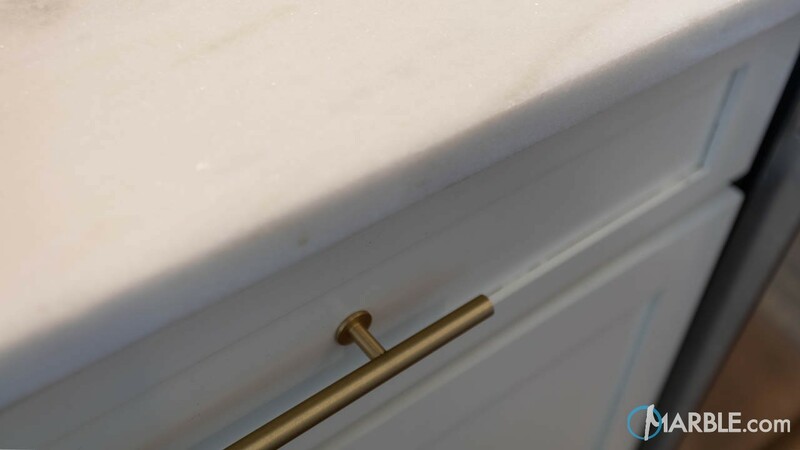 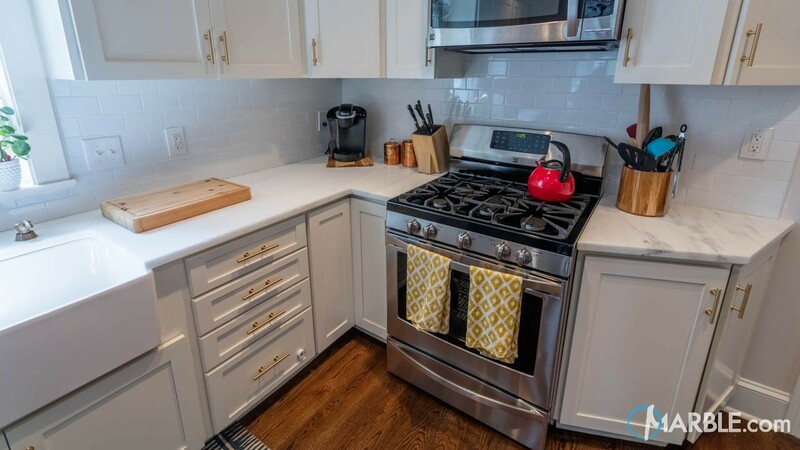 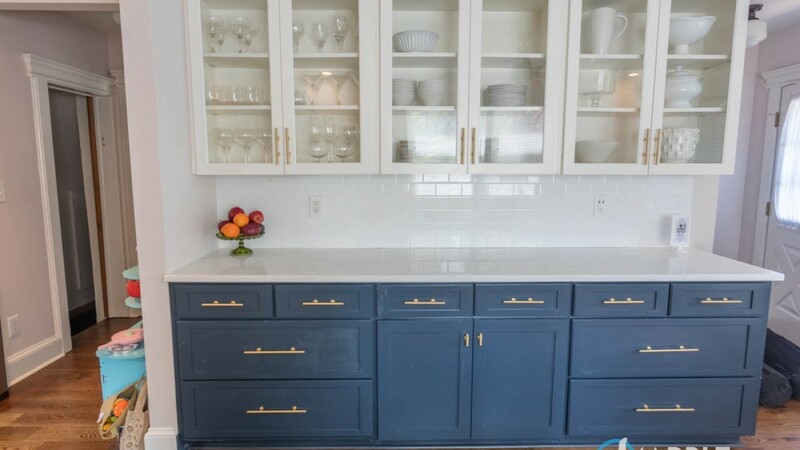 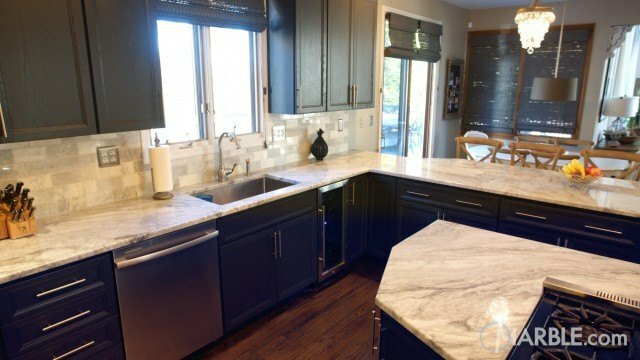 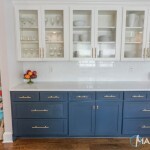 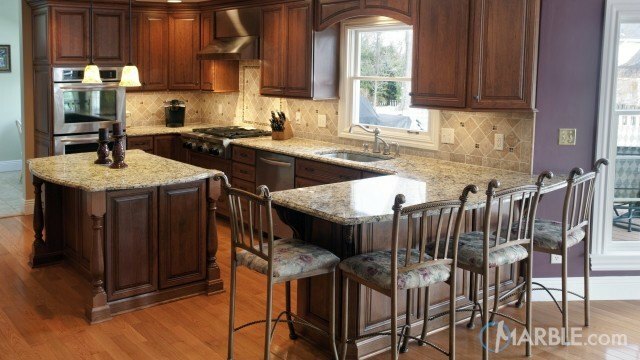 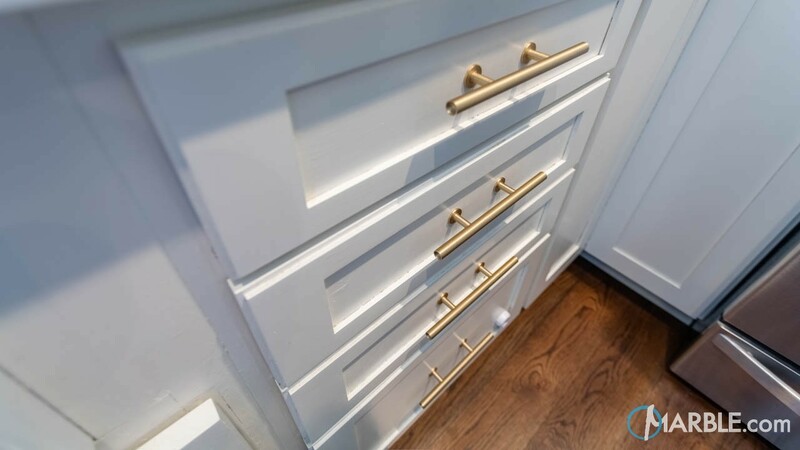 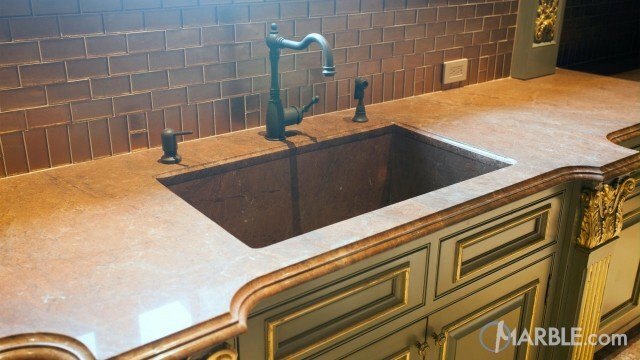 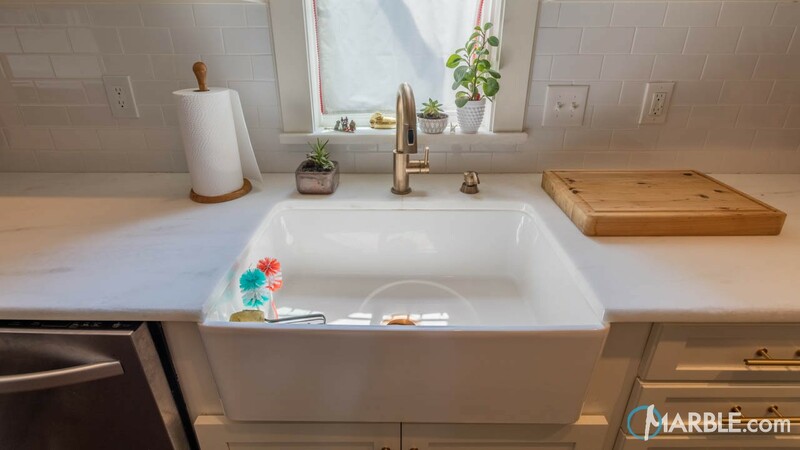 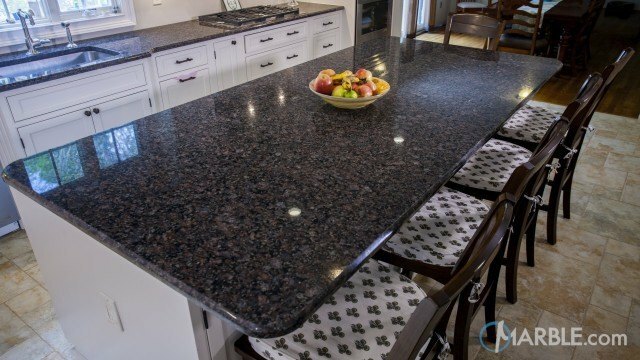 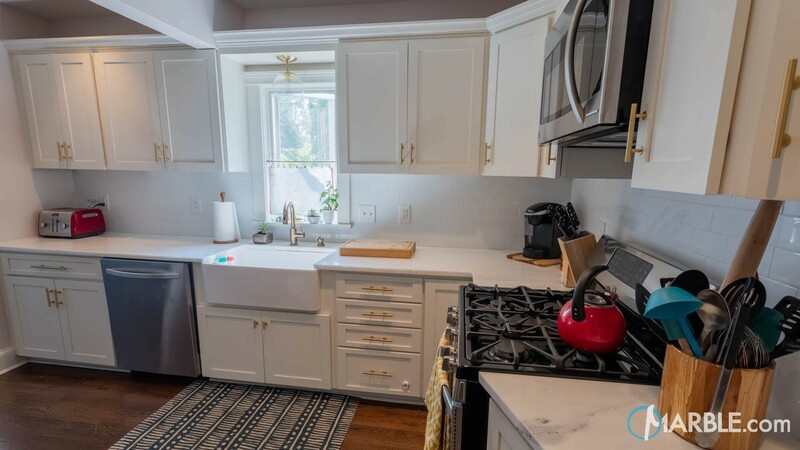 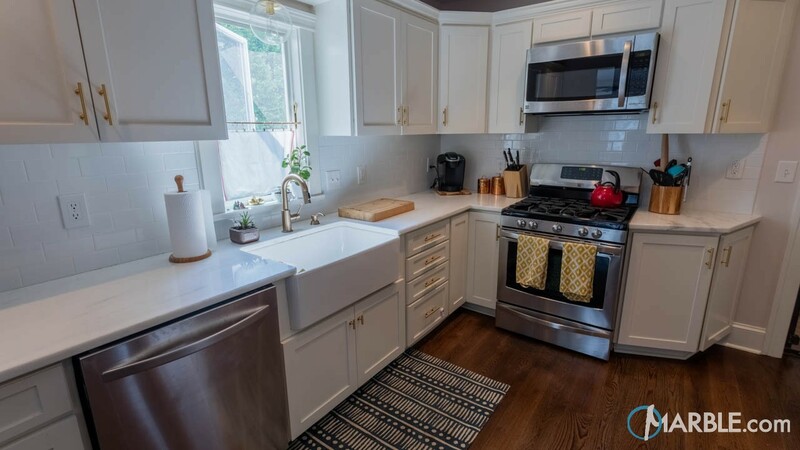 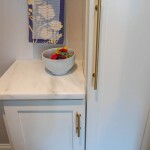 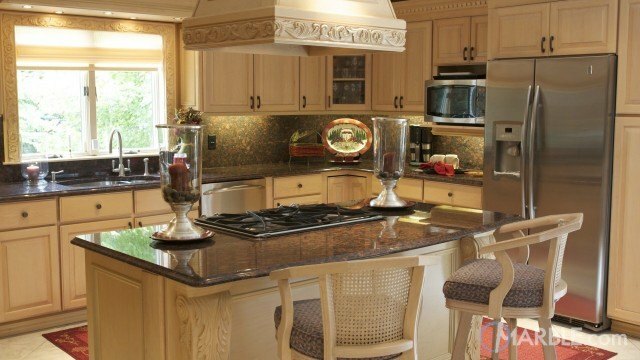 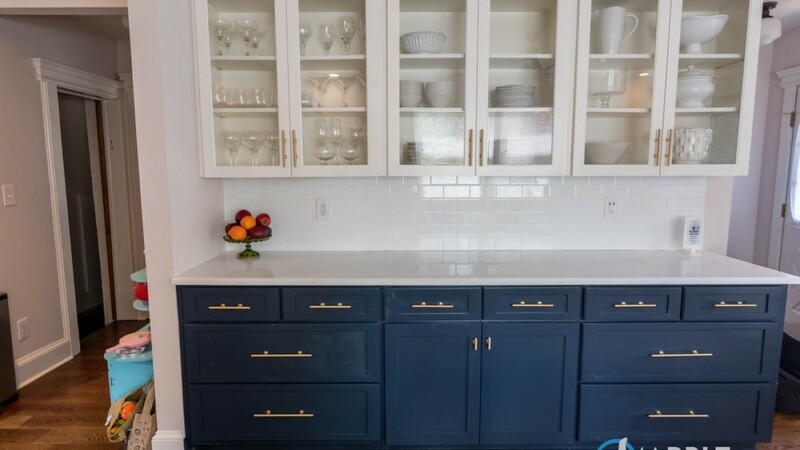 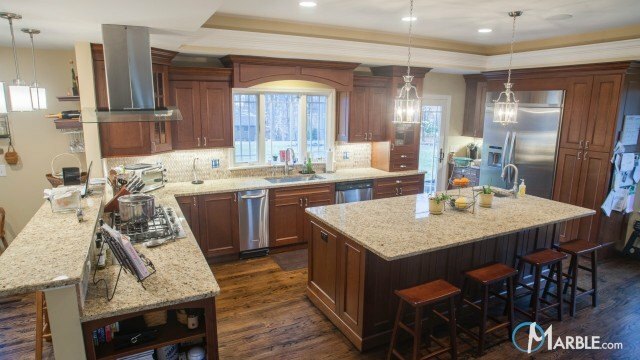 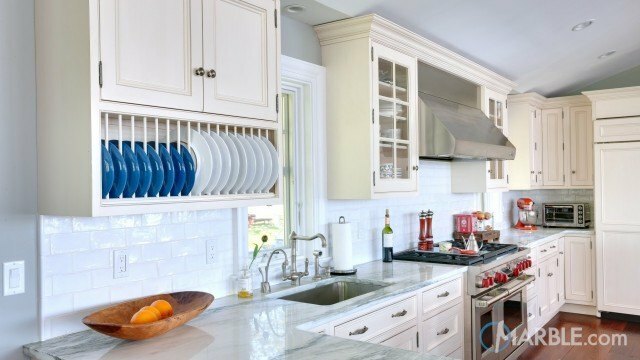 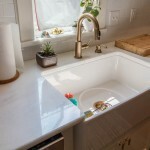 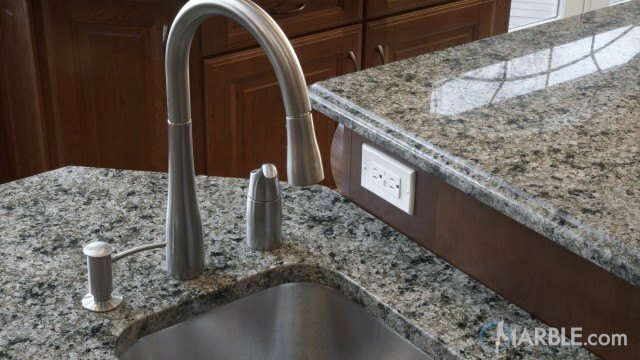 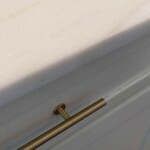 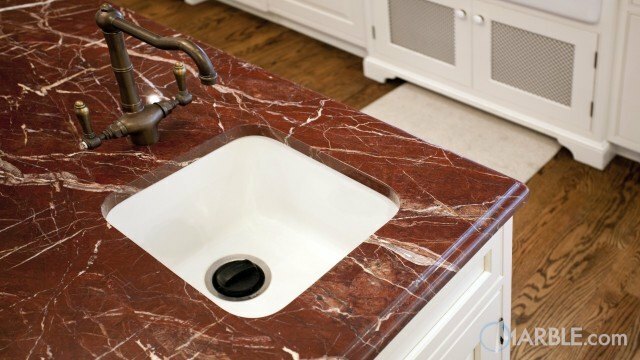 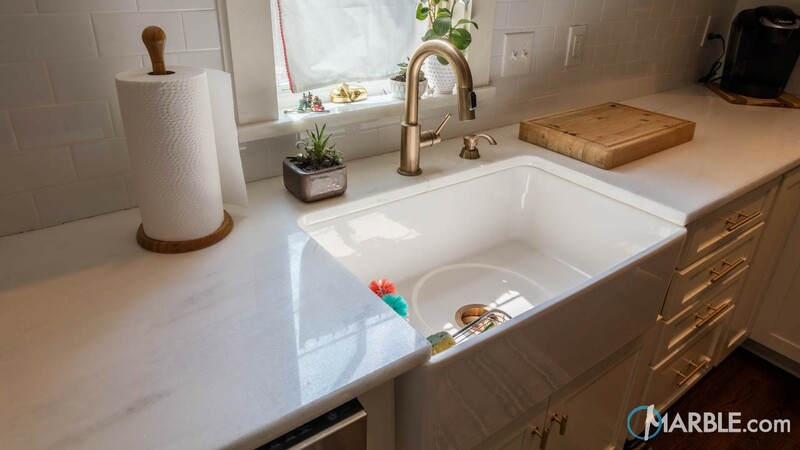 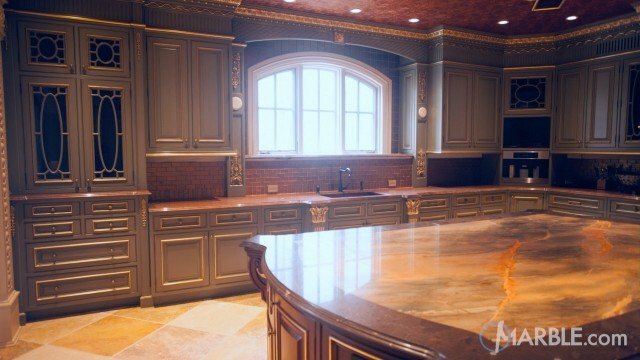 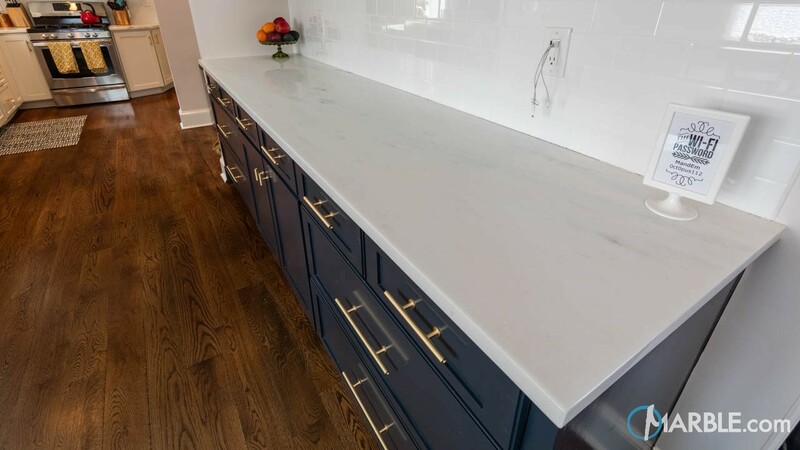 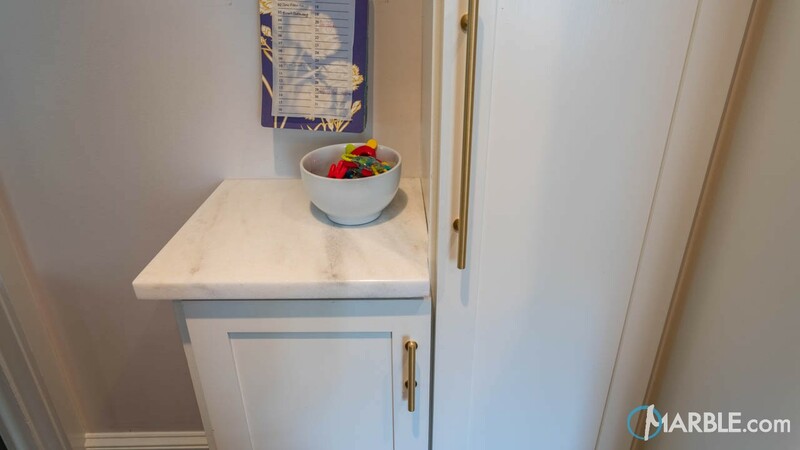 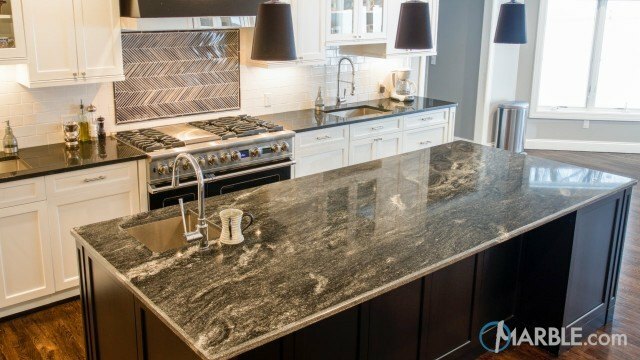 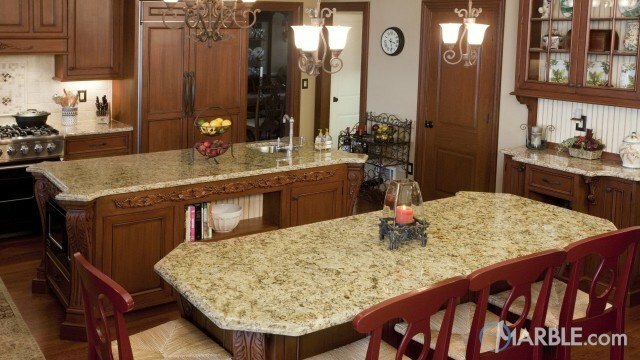 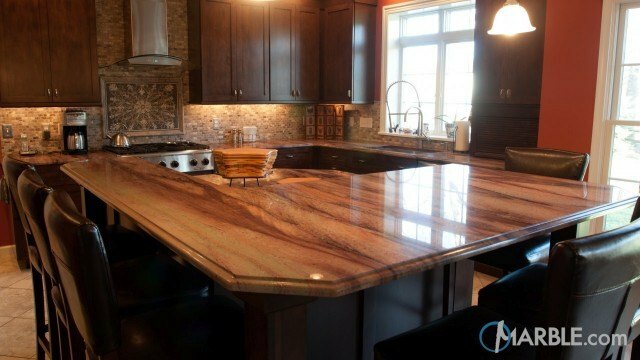 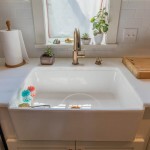 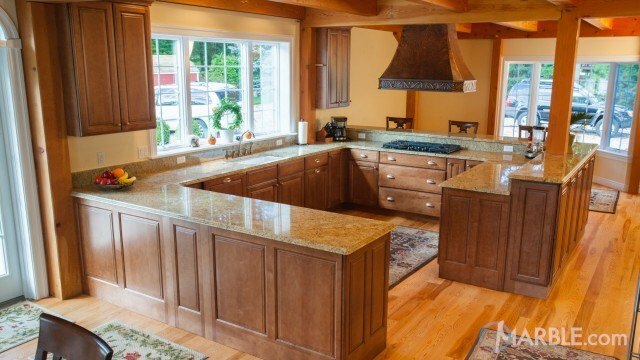 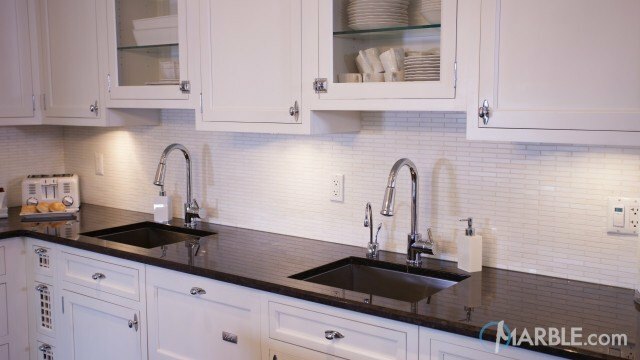 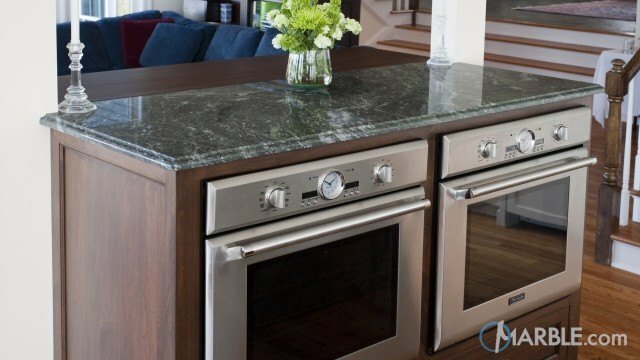 Elegant golden cabinet handles establish a feeling of luxury, while a farmhouse sink is a functional and attractive choice.